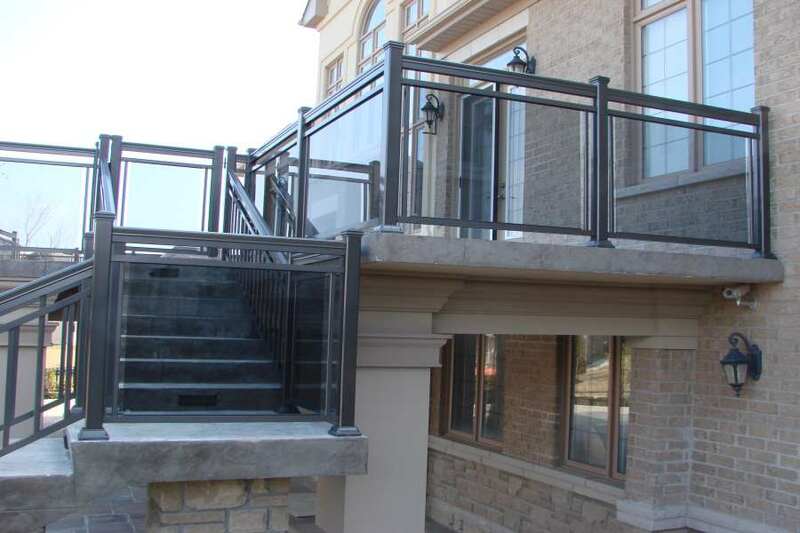 Fabrication/Pre-fabrication – Fabrication of a stair railing is its construction in a customized manner. 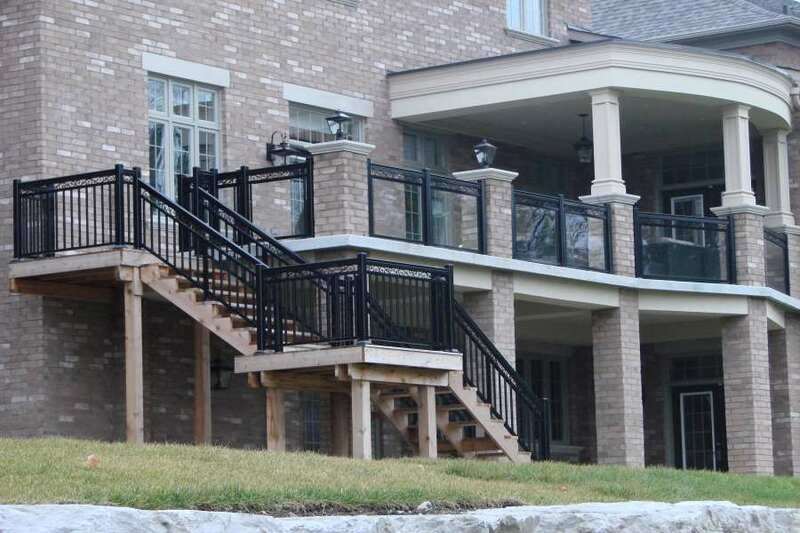 Pre-fabrication, on the other hand, is the installation of stair railing kits that had been manufactured beforehand. 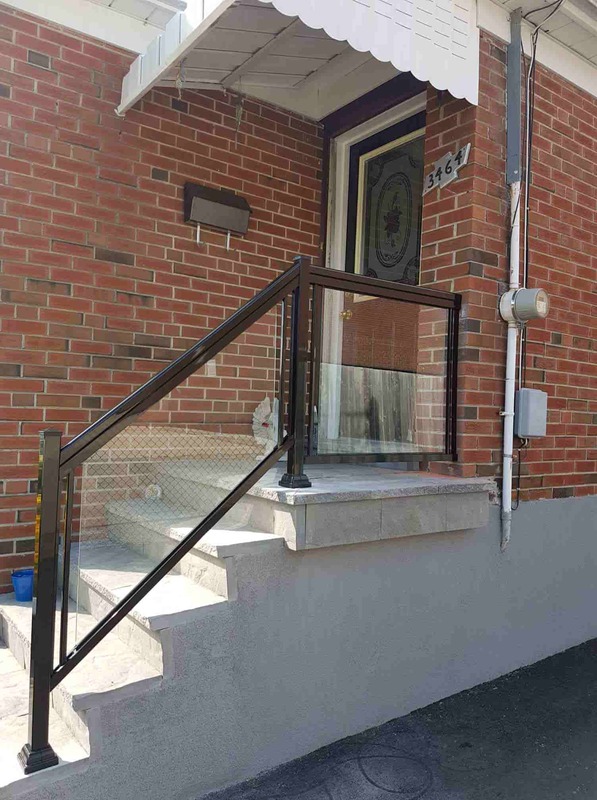 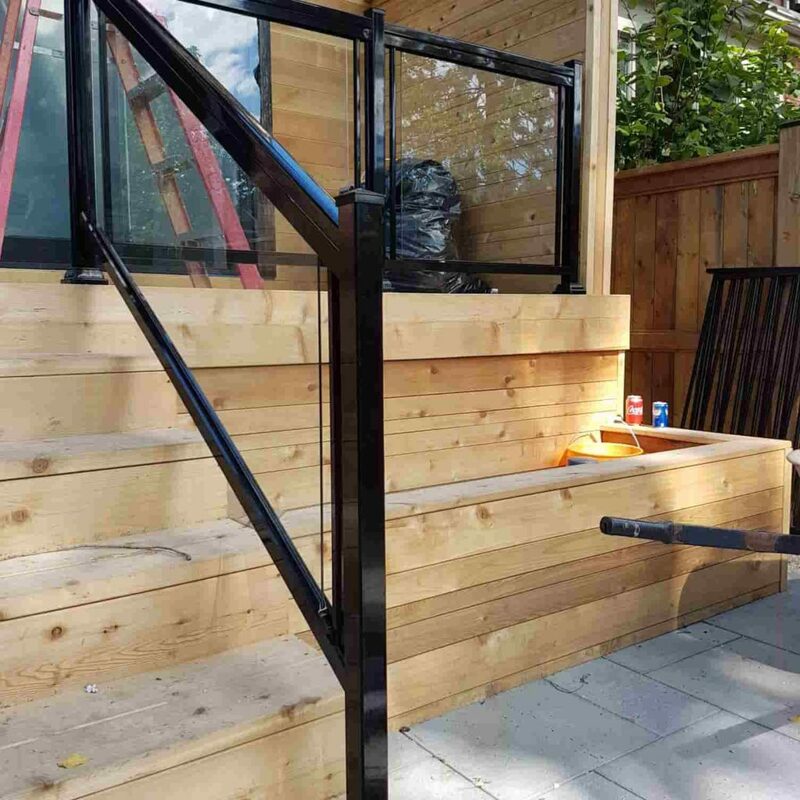 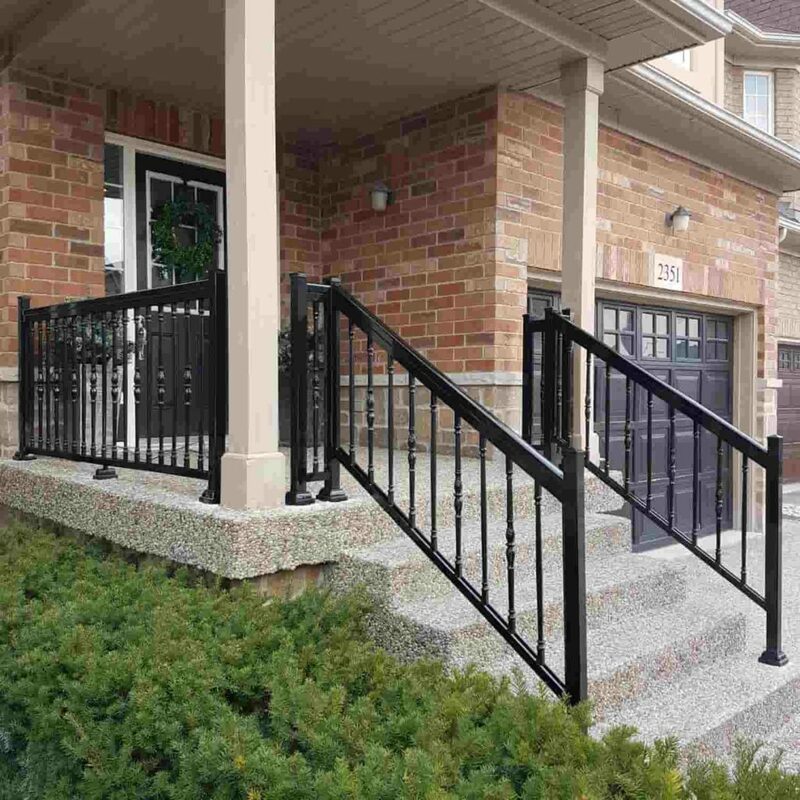 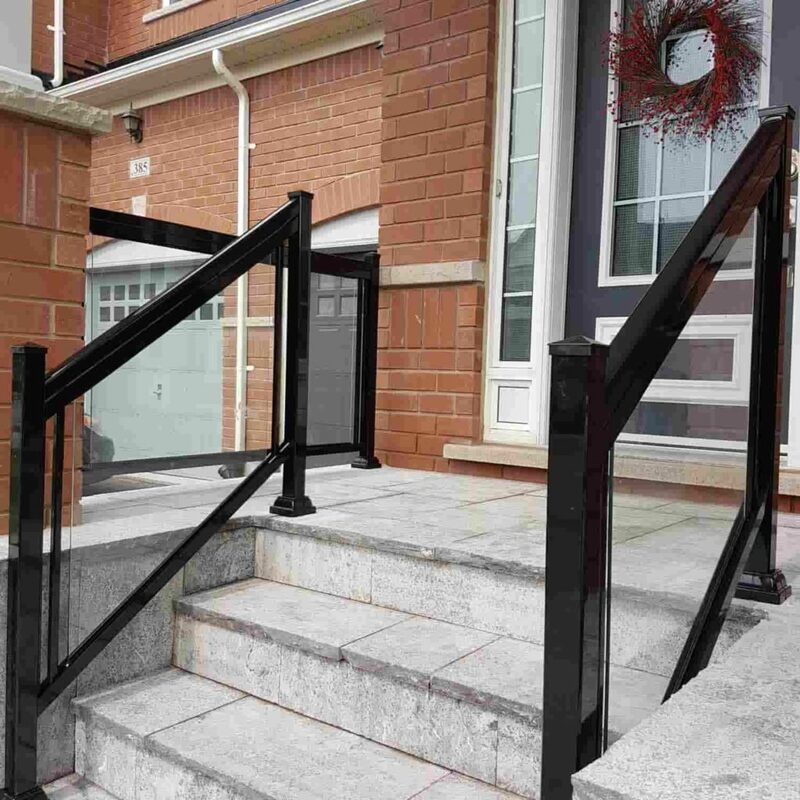 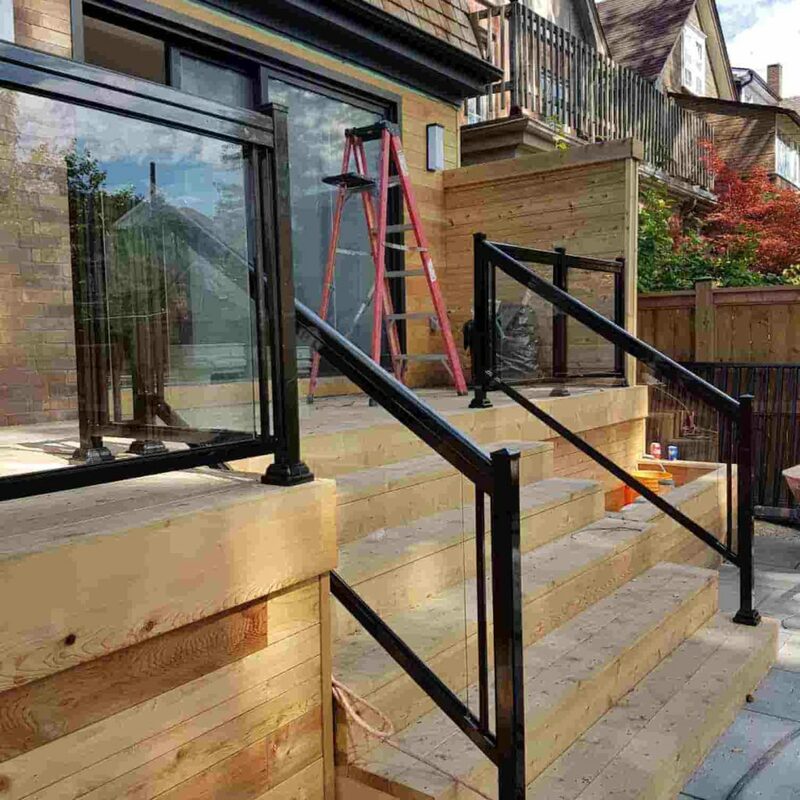 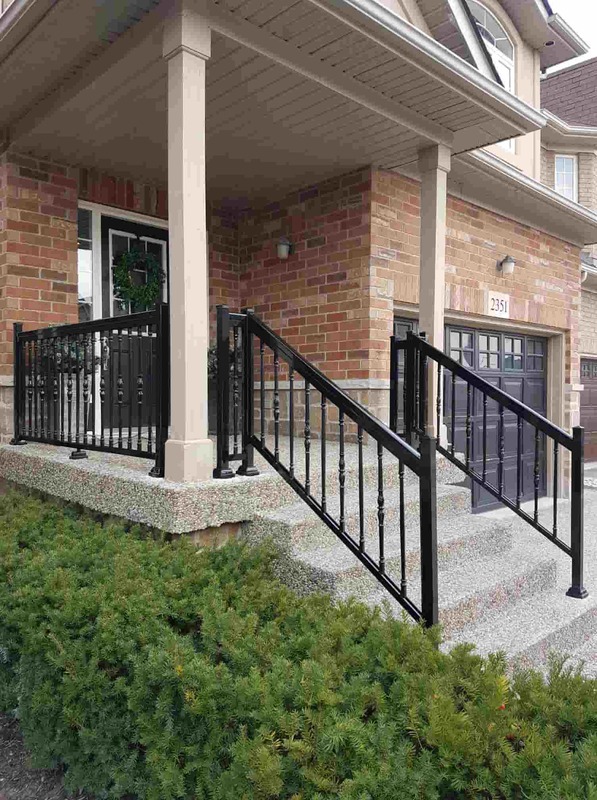 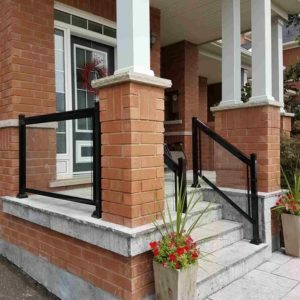 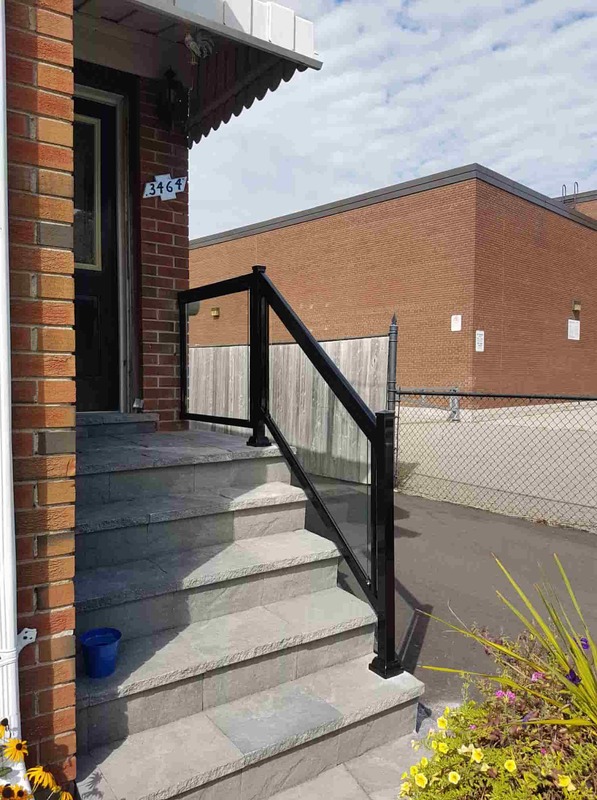 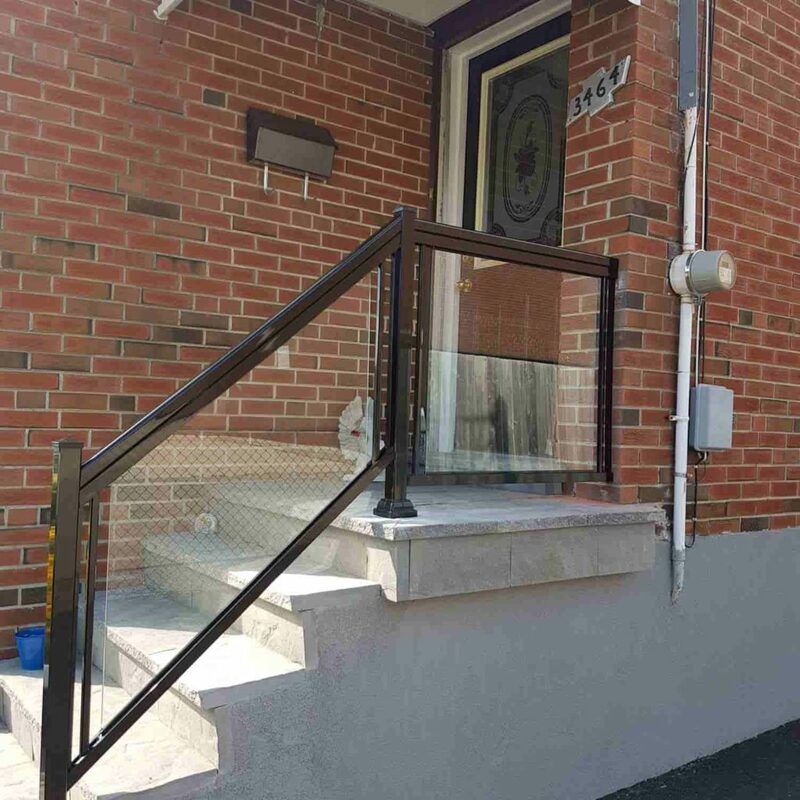 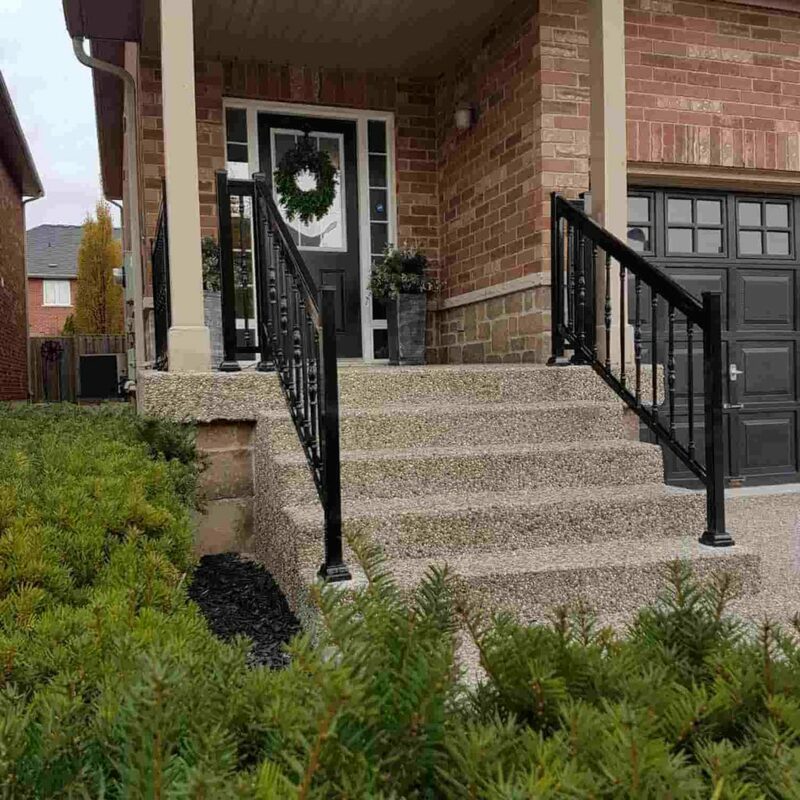 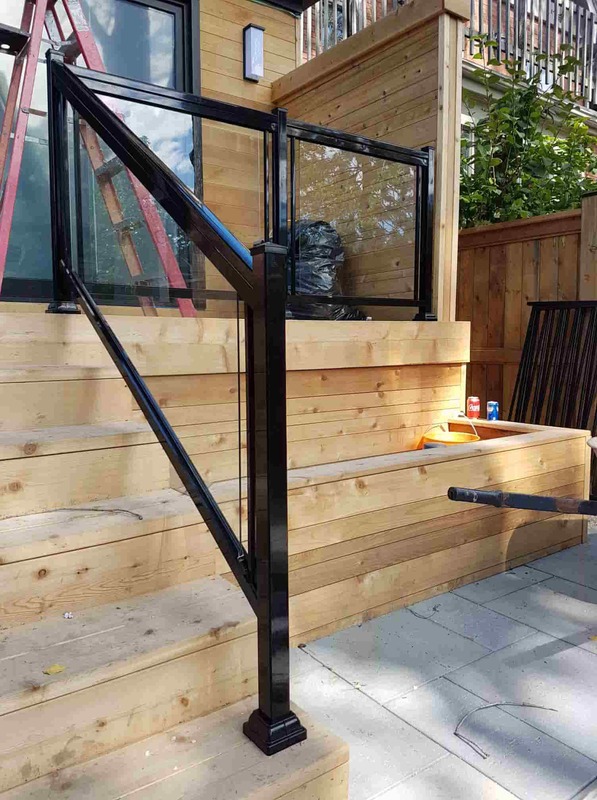 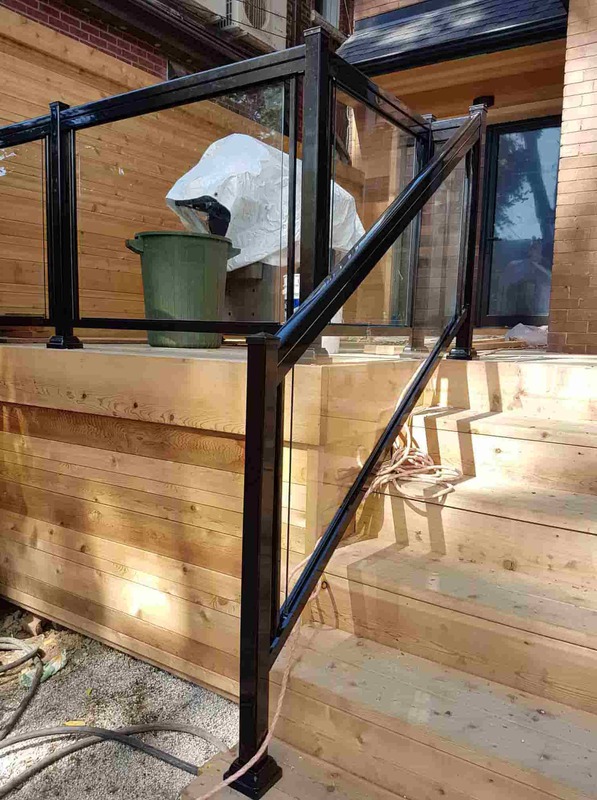 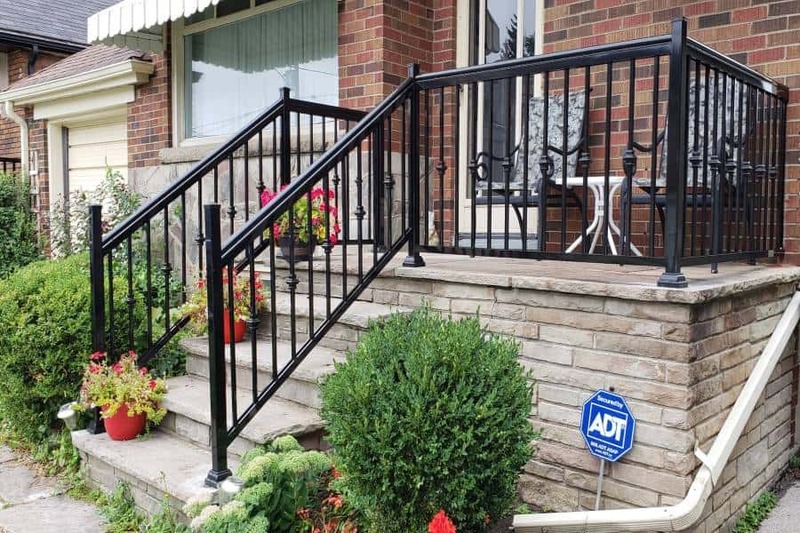 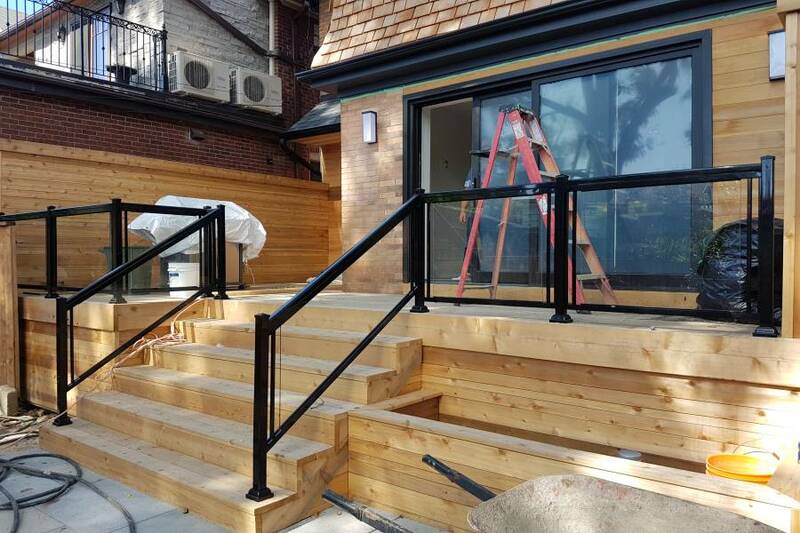 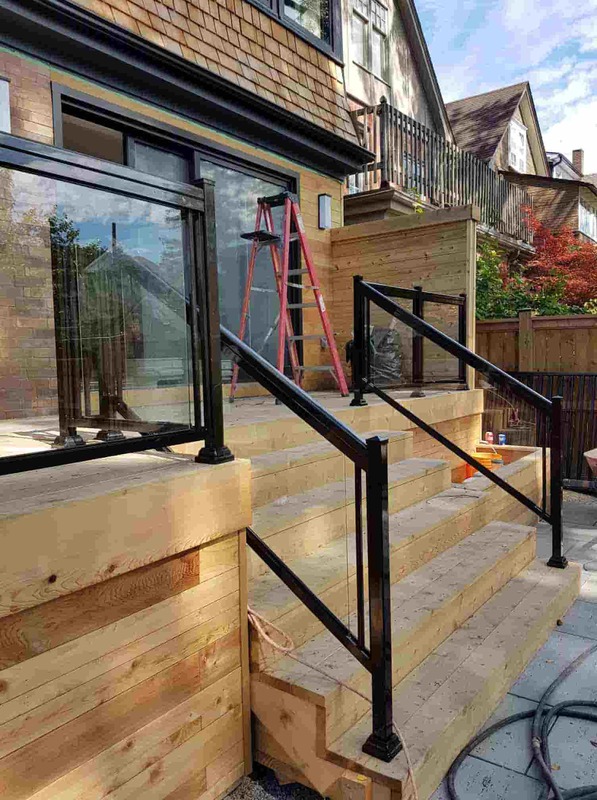 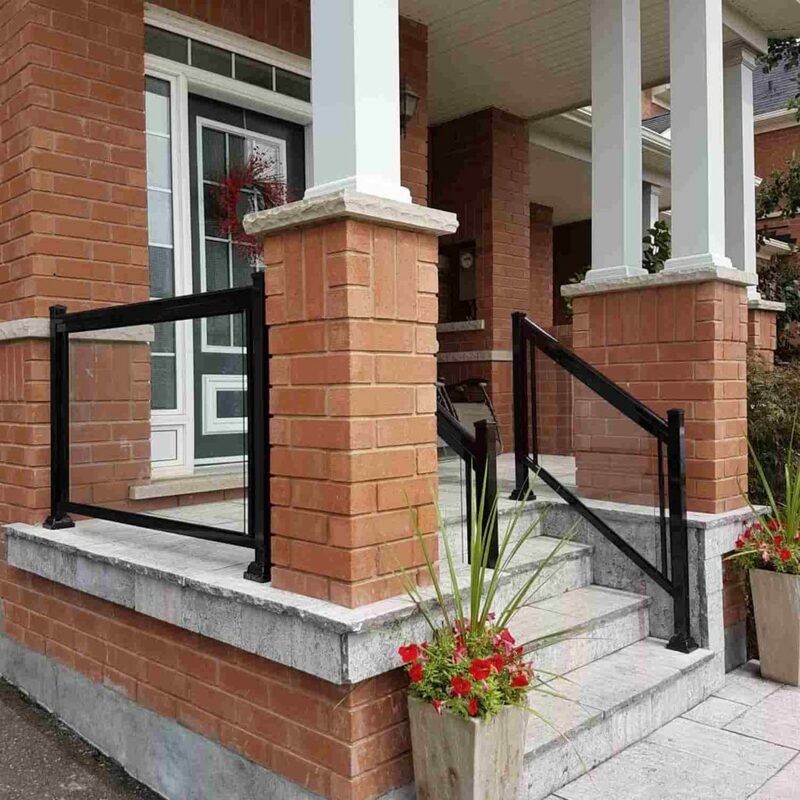 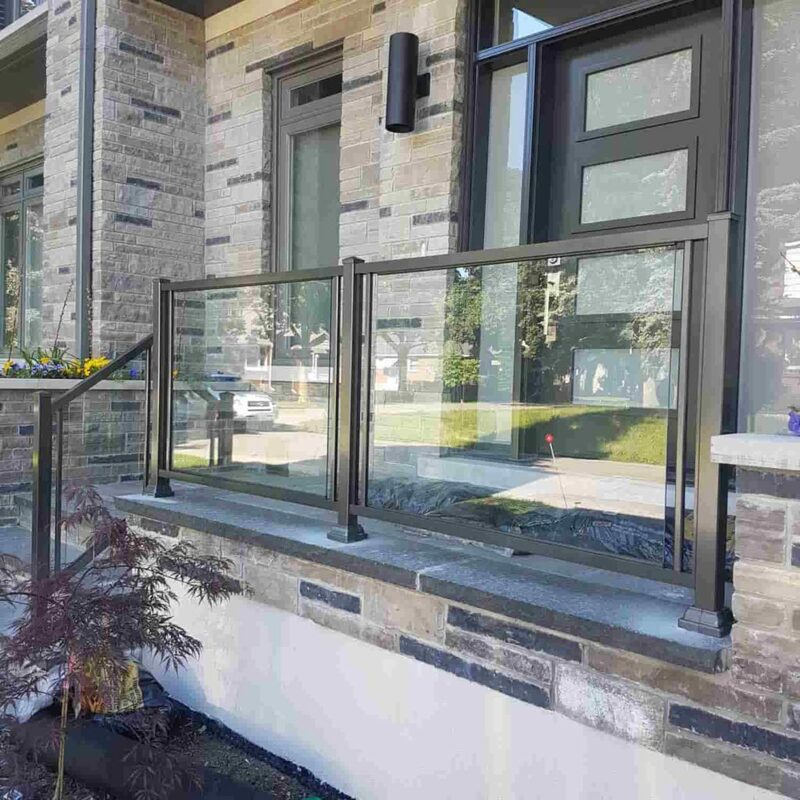 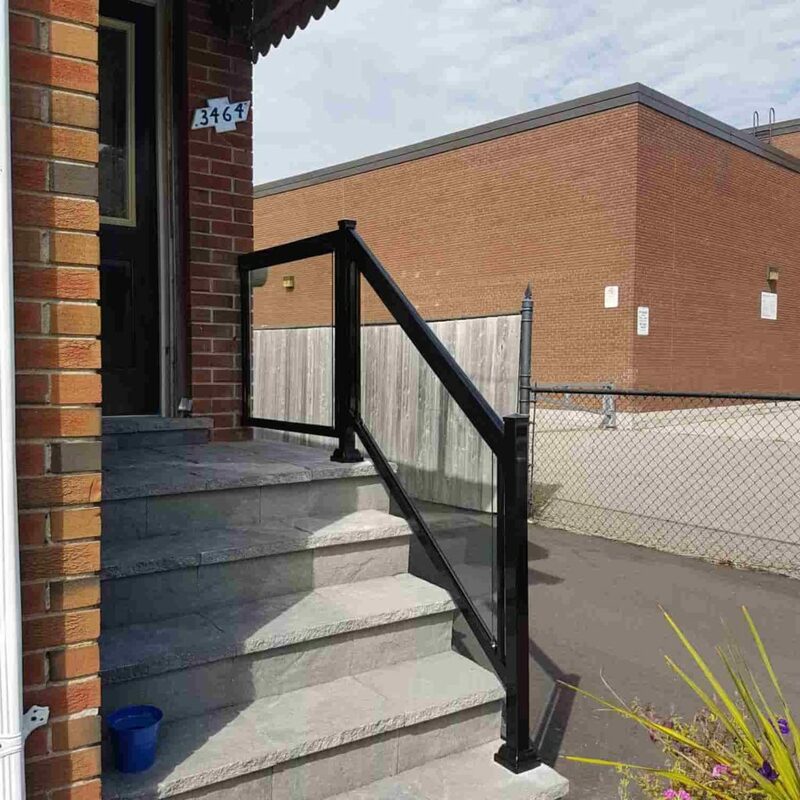 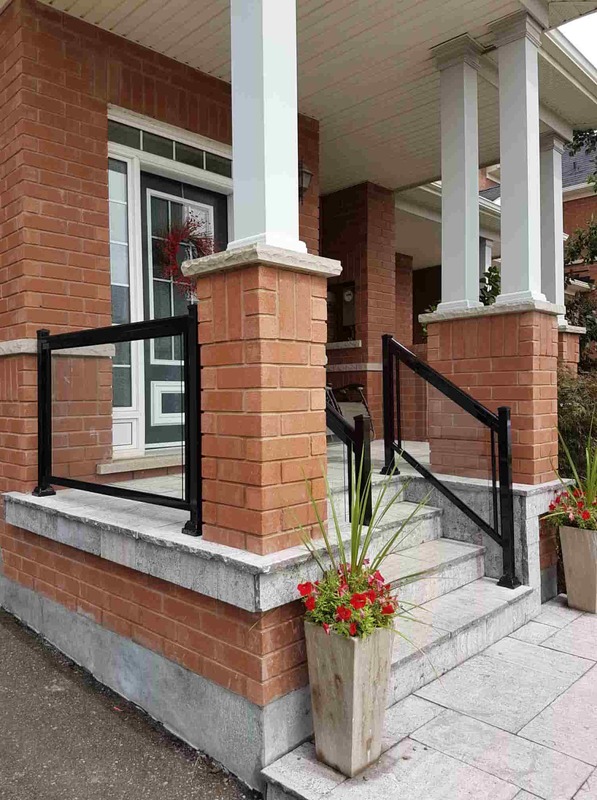 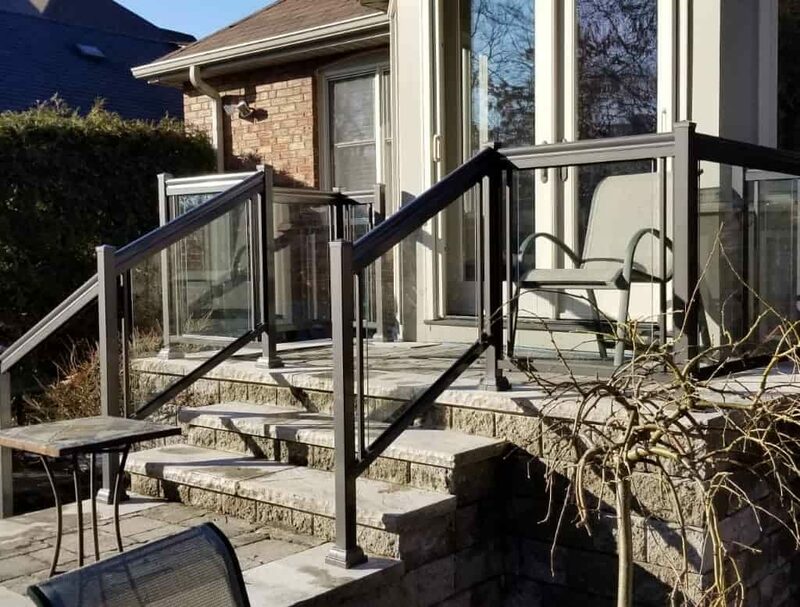 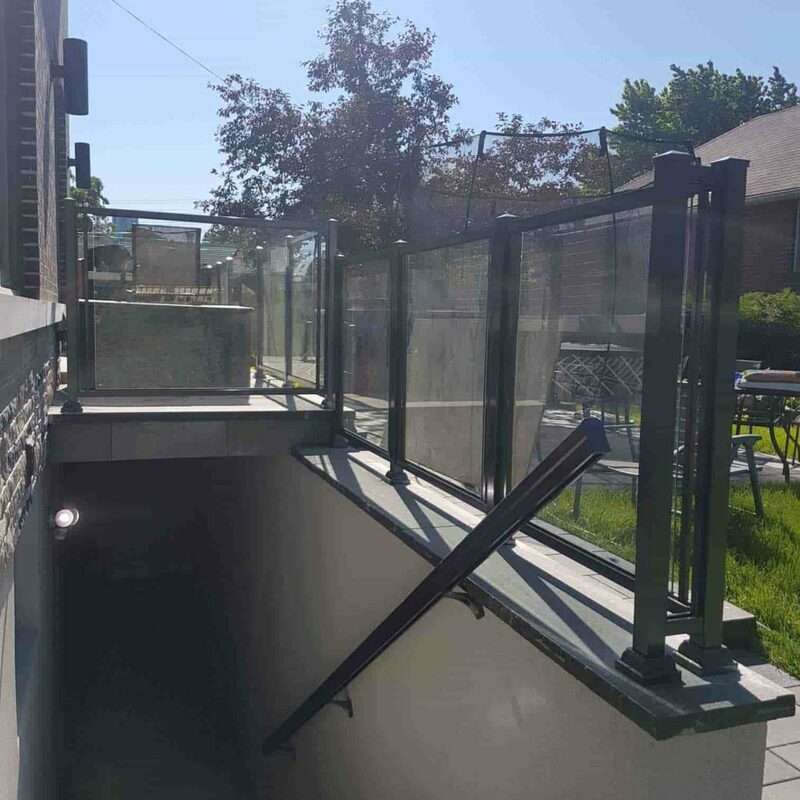 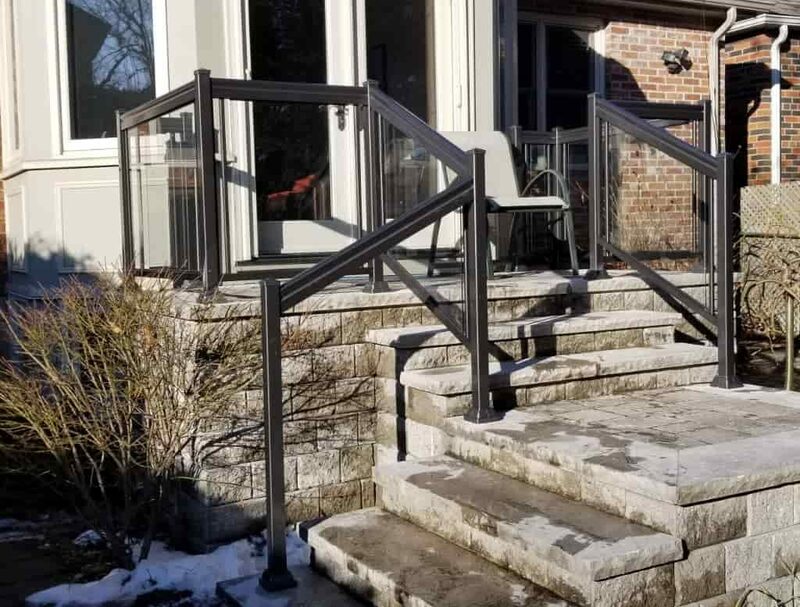 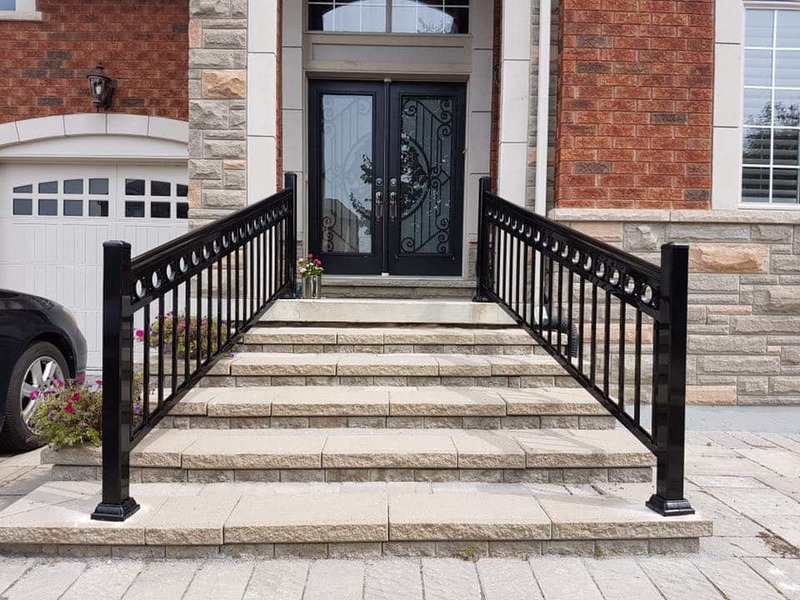 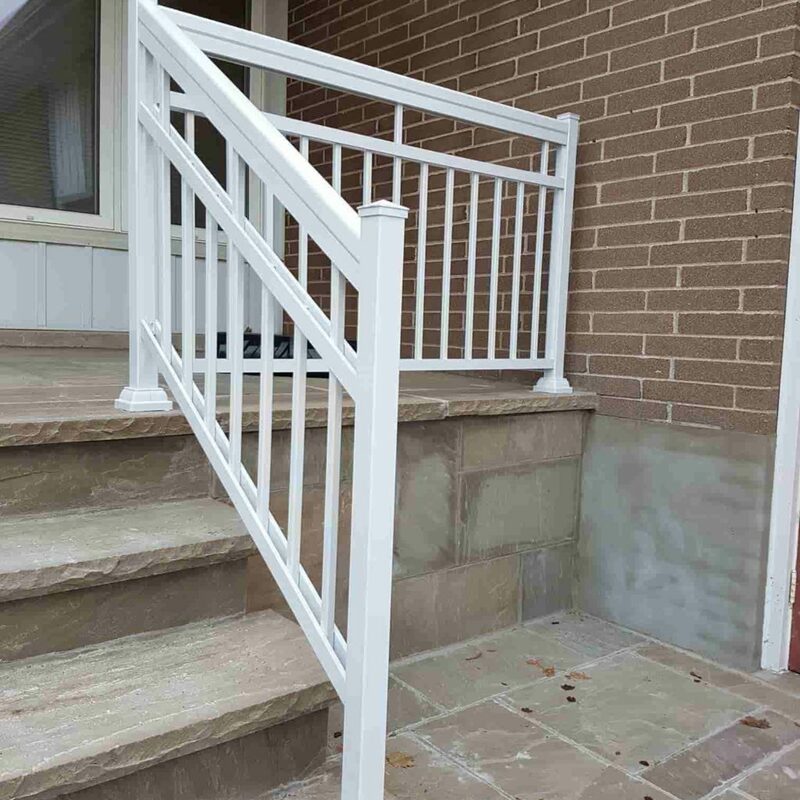 Stair railing kits are made to minimize labor costs and usually come with a uniquely designed attachment that adapt to variable degrees of the stair’s rise. 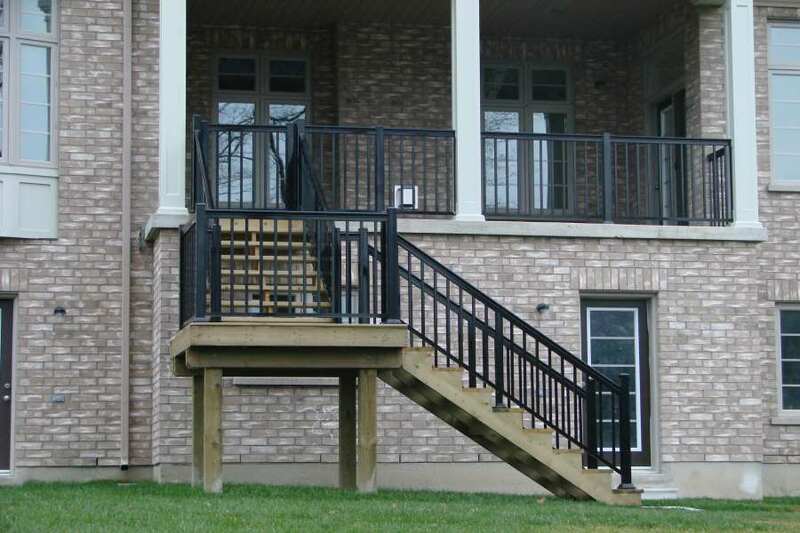 Rise and Run – Rise is the total vertical height of the stairs while the run is its horizontal length. 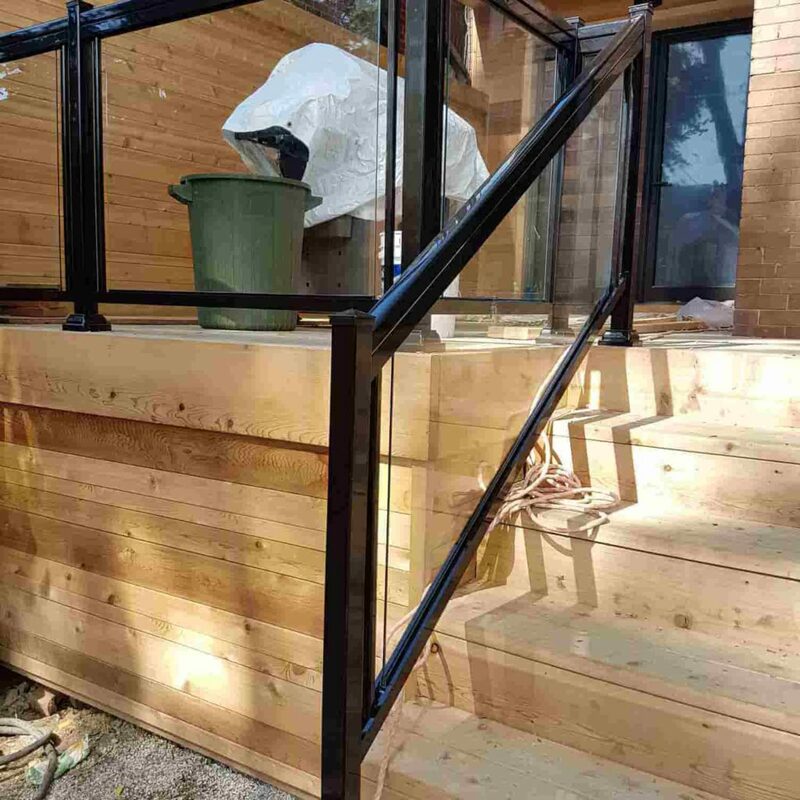 The line from the rise and the run determines the length of the staircase for which the stair railing will be constructed. 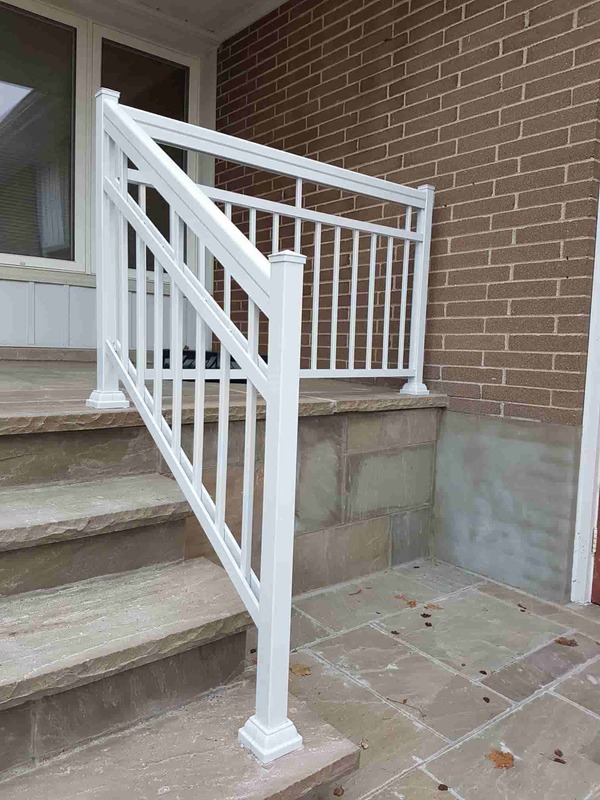 Riser and Tread – Riser is the vertical distance between stair steps, while tread is the horizontal width of the step. 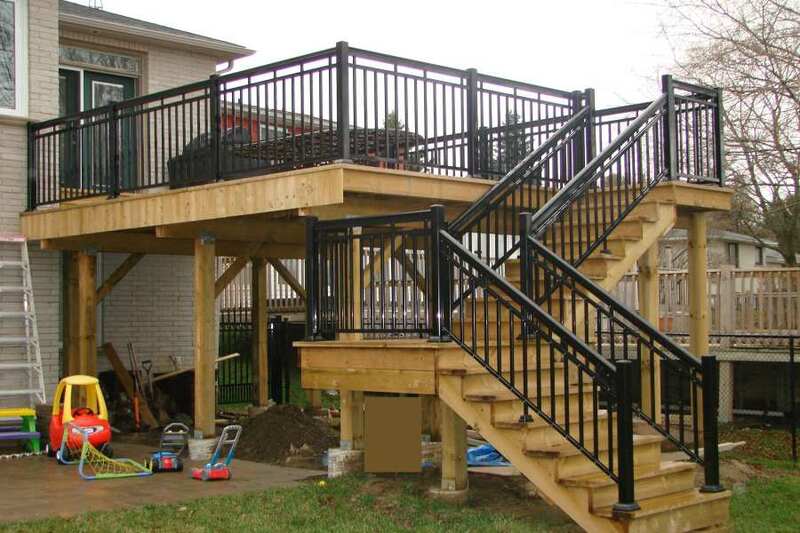 Both of these are set as standards by OSHA or IBC and regulated by city governments. 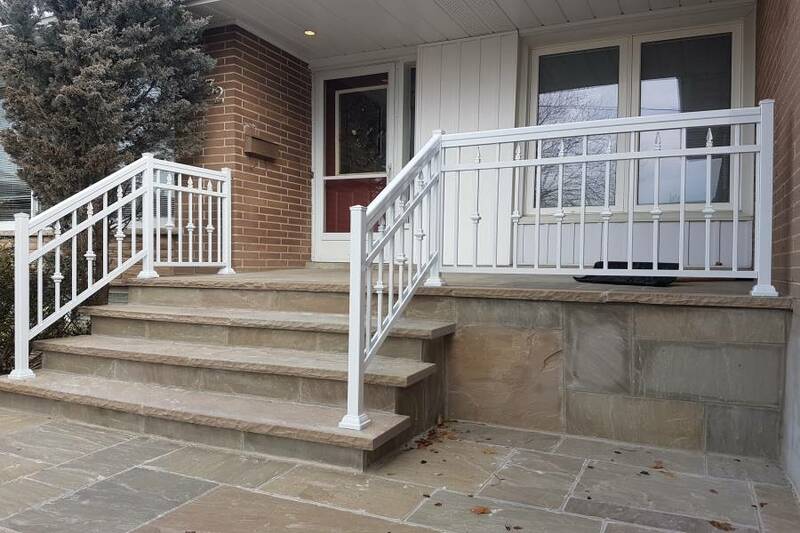 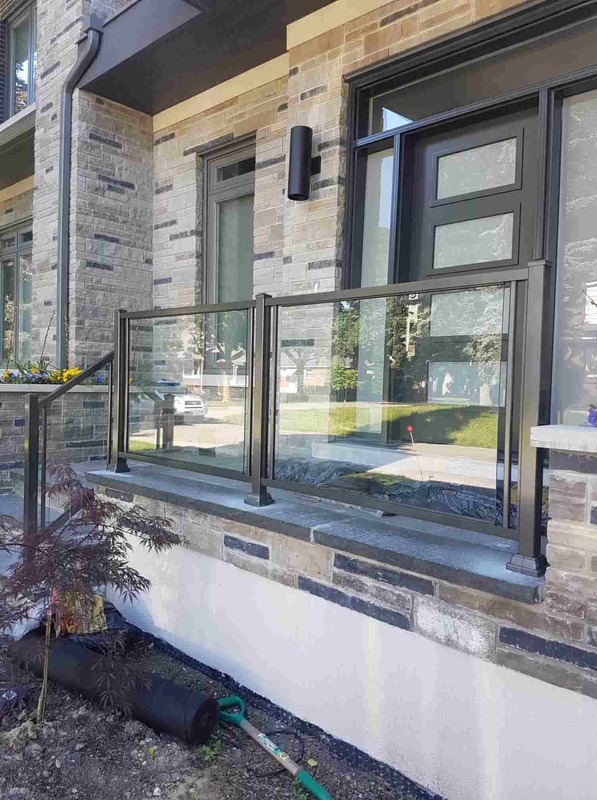 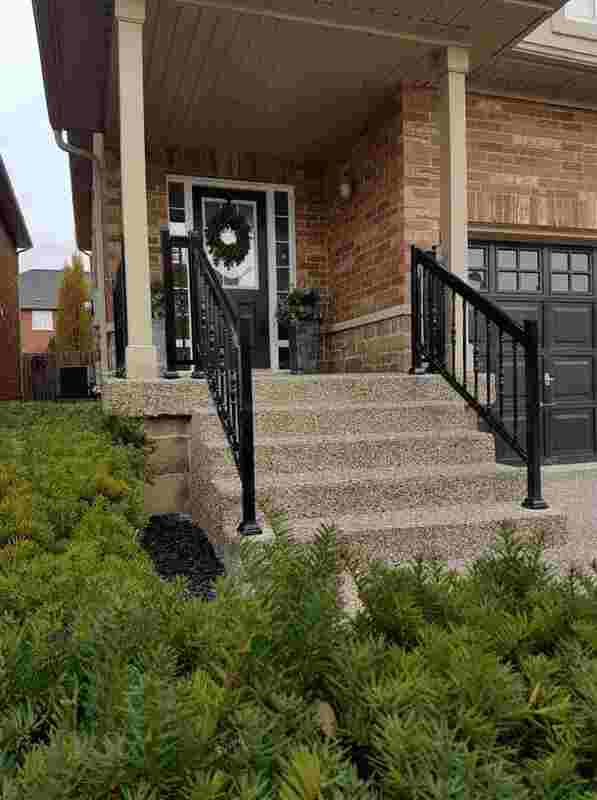 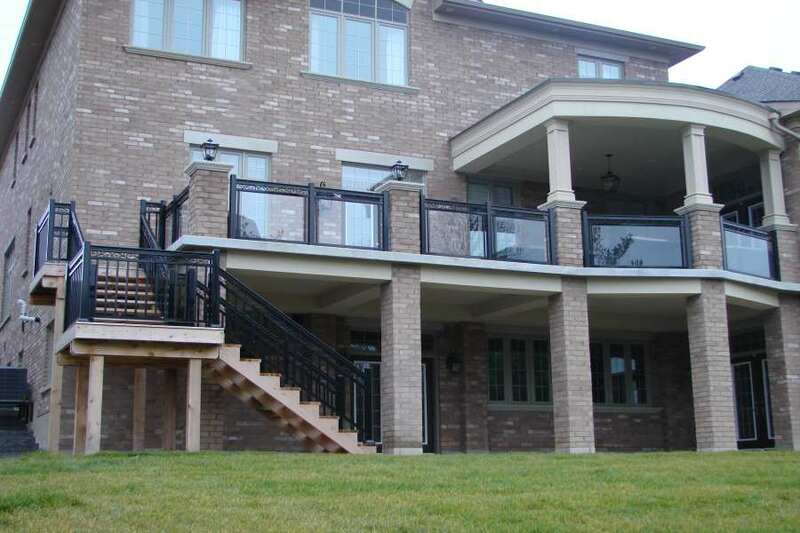 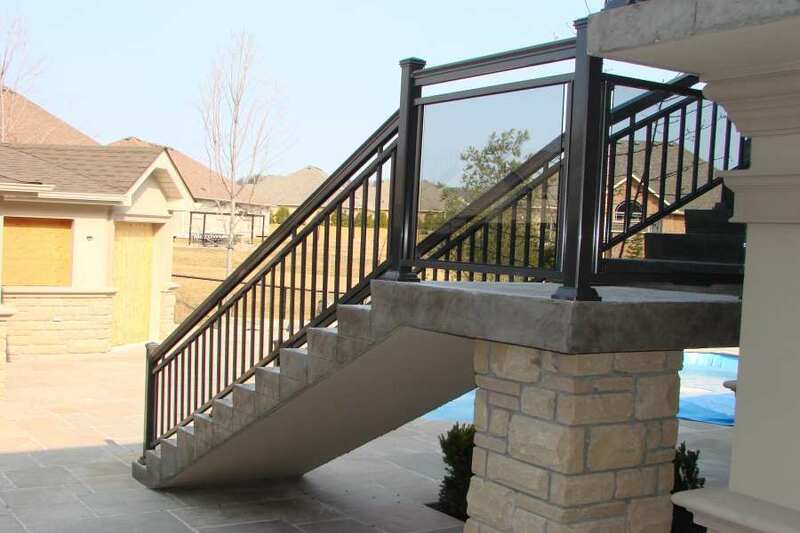 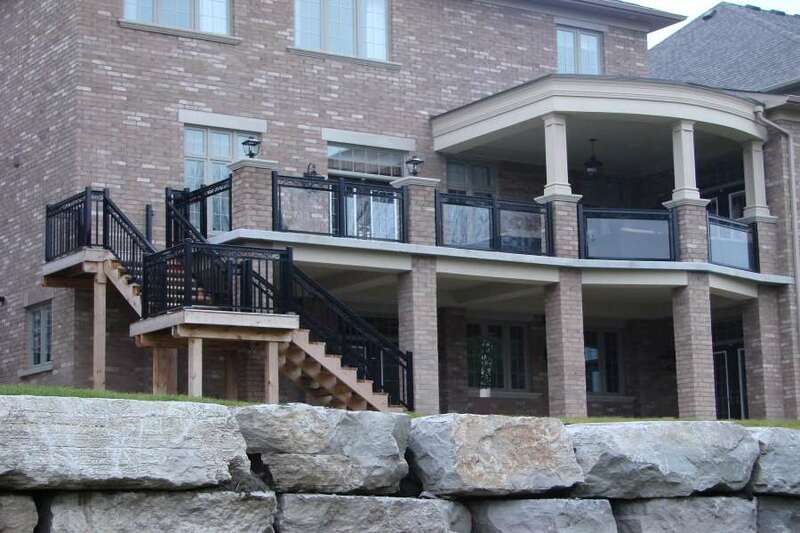 Whether you choose to have it built outdoors or indoors, stair railings provide us with the same purpose. 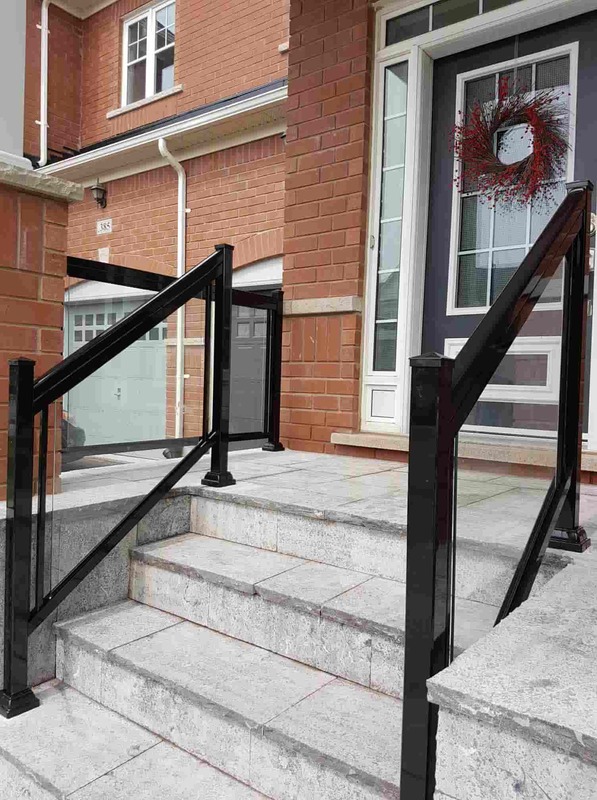 They are here to mainly assist and bring security for people who use the stairs. 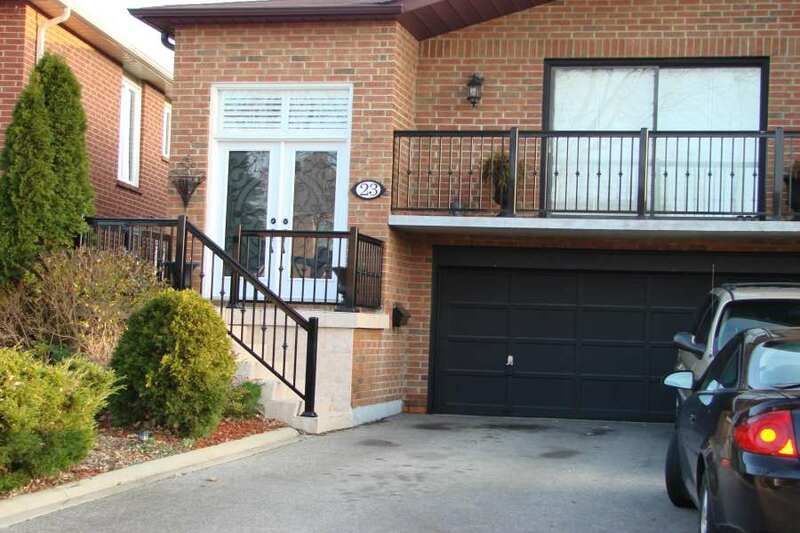 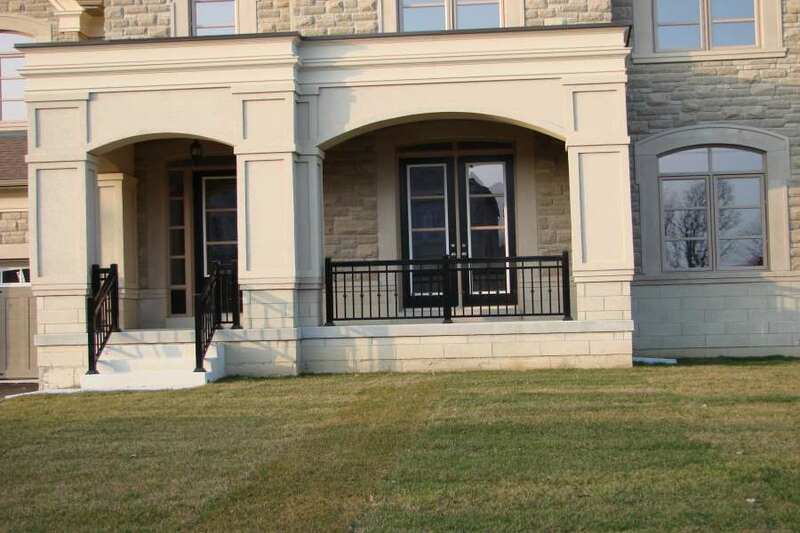 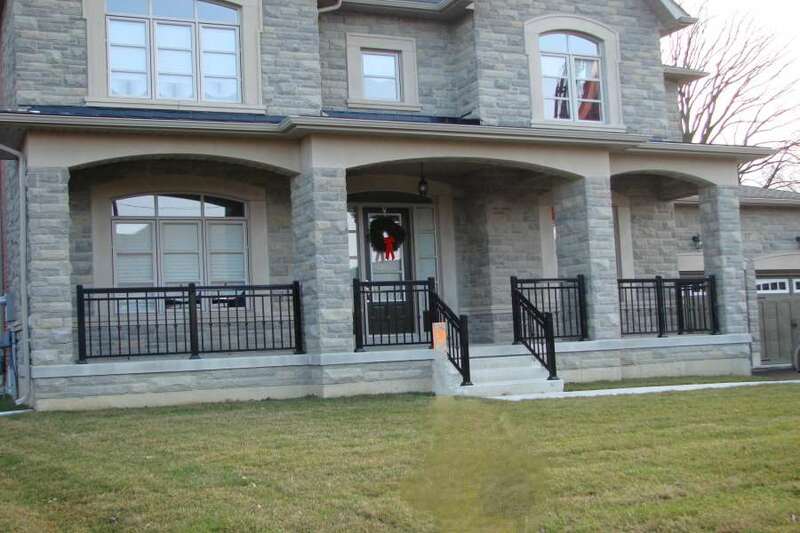 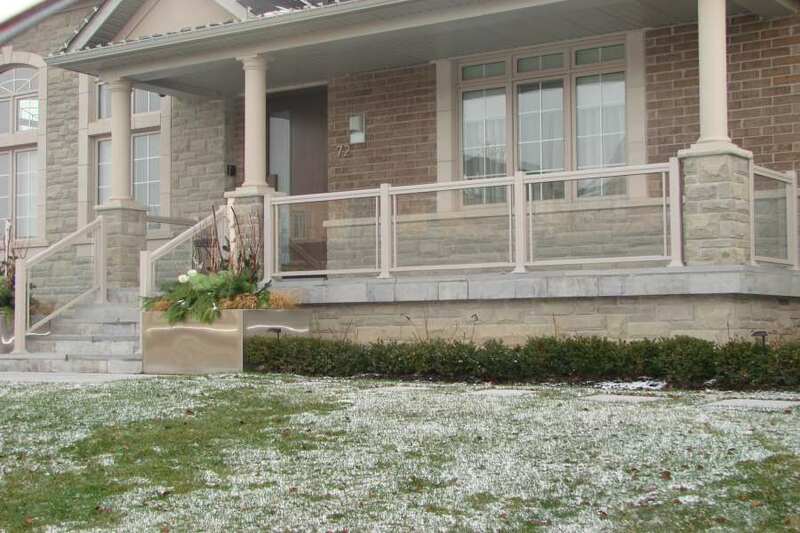 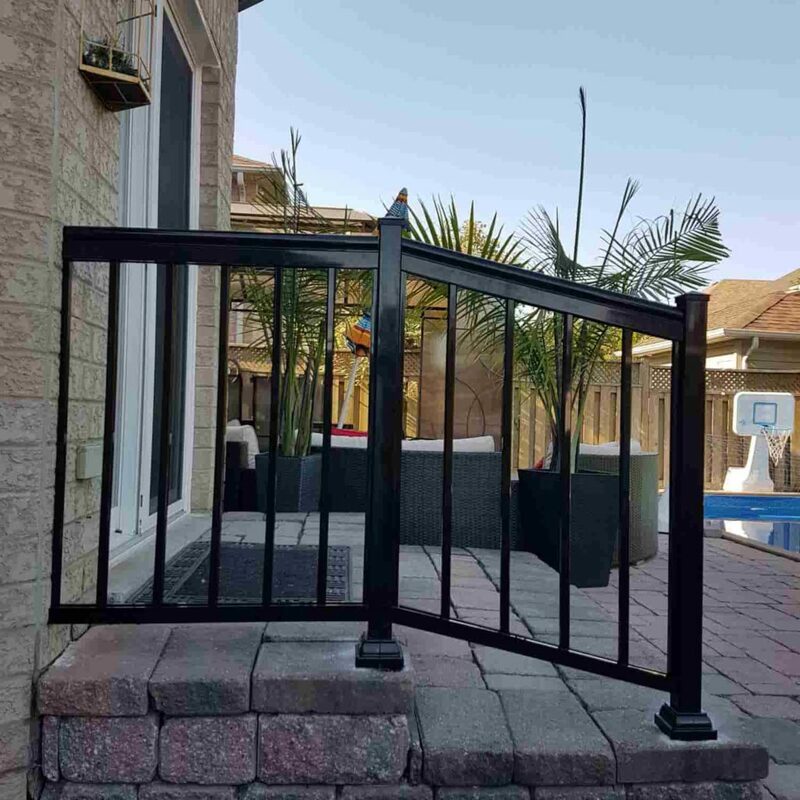 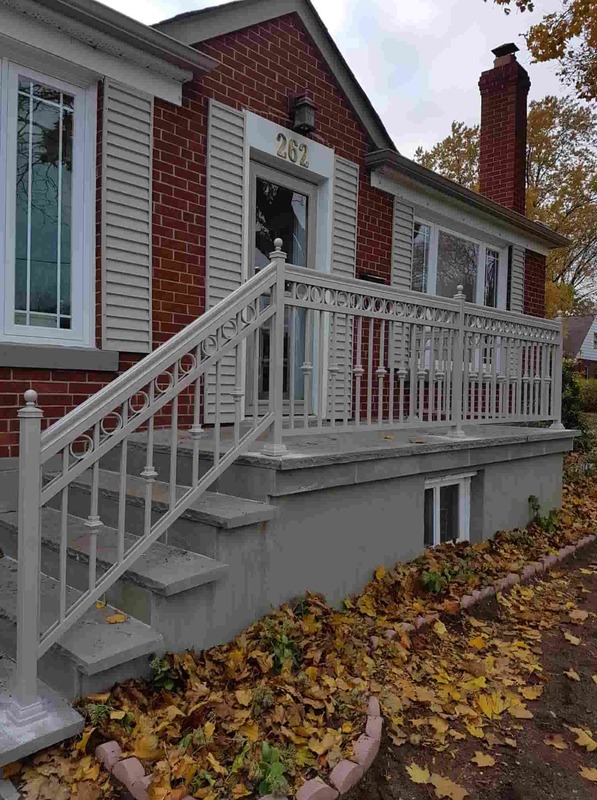 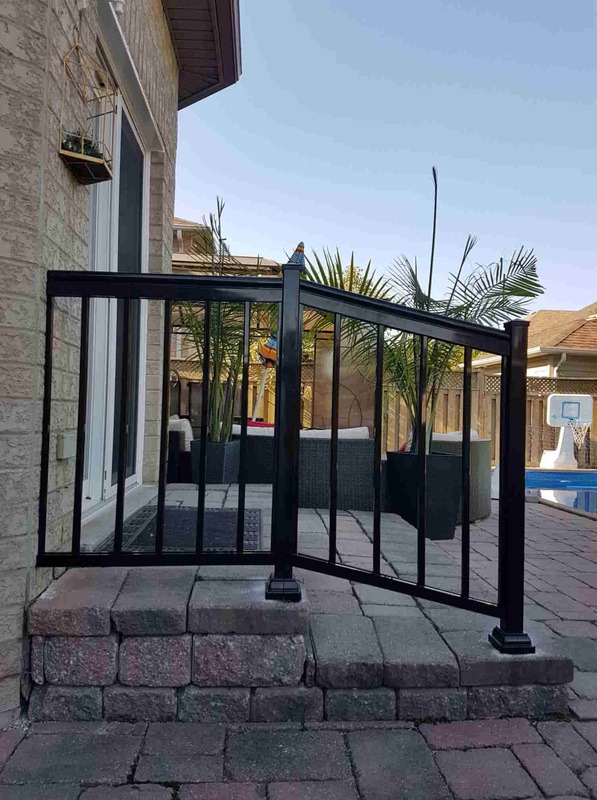 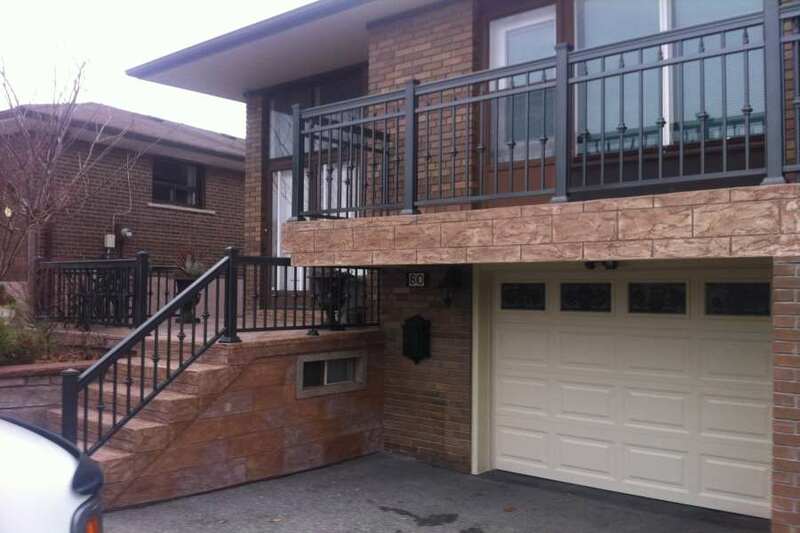 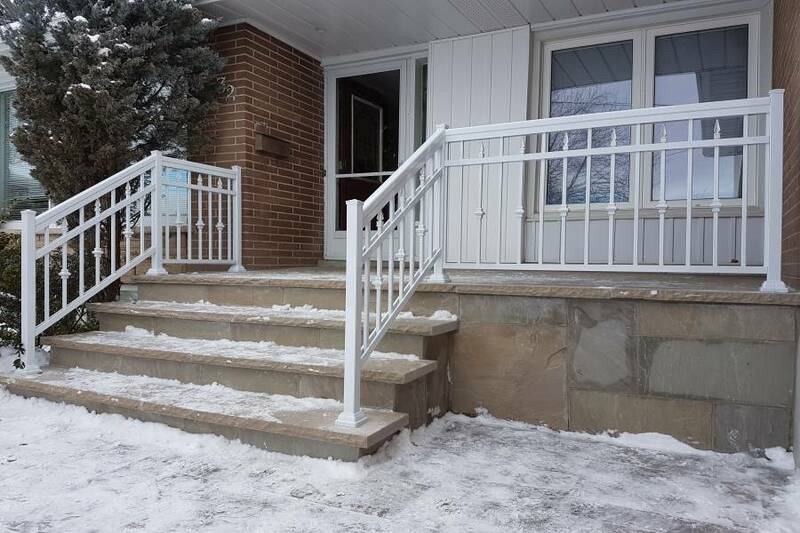 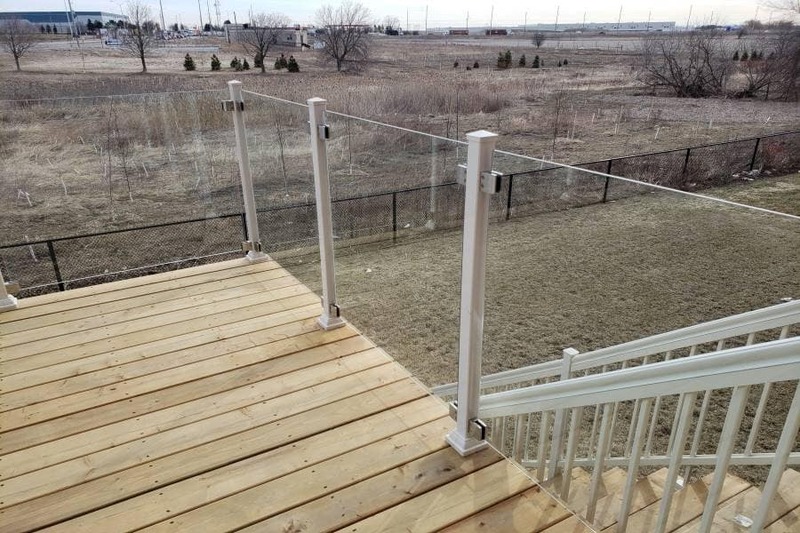 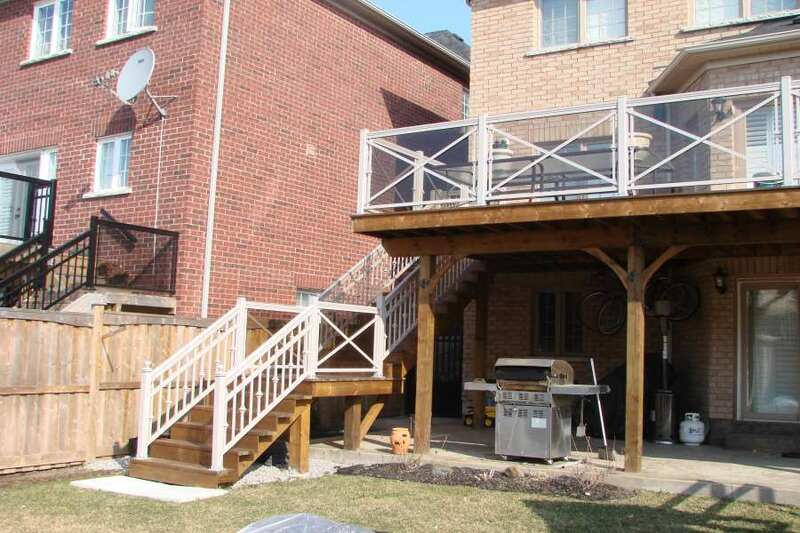 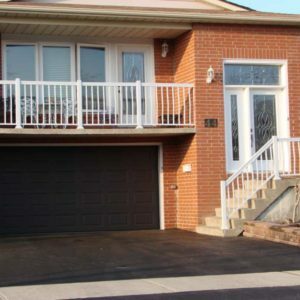 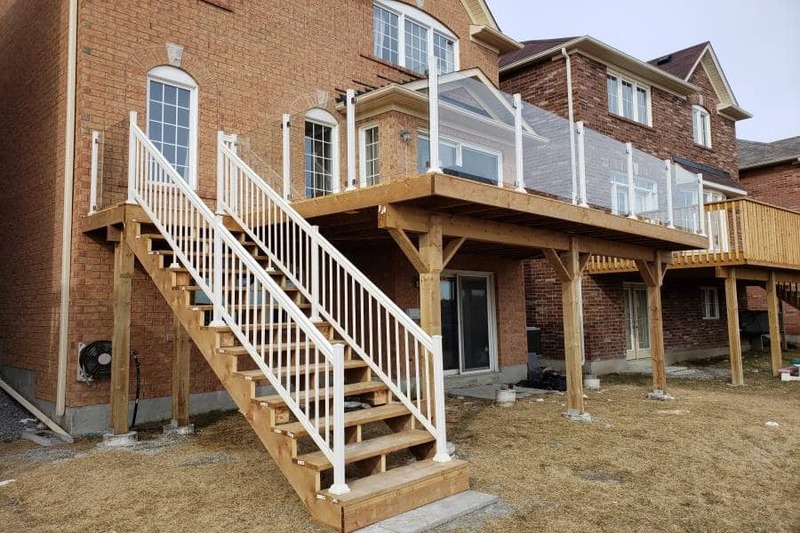 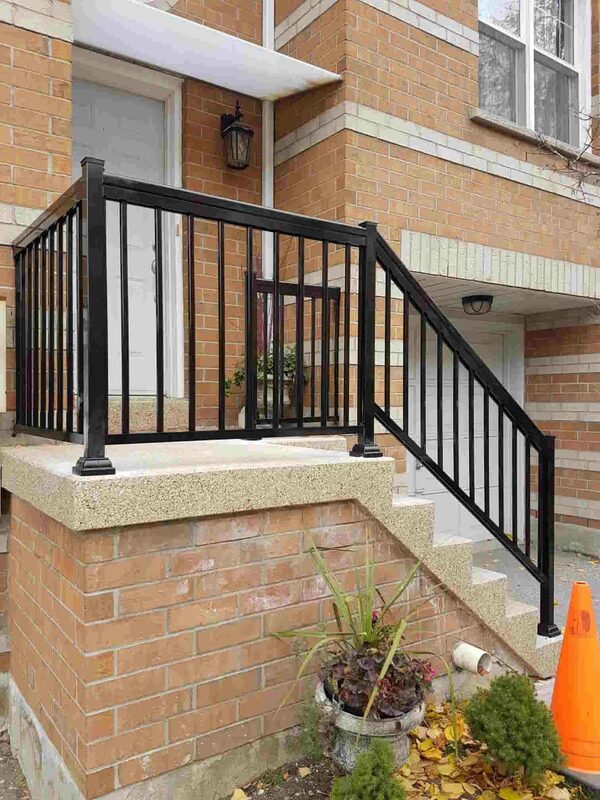 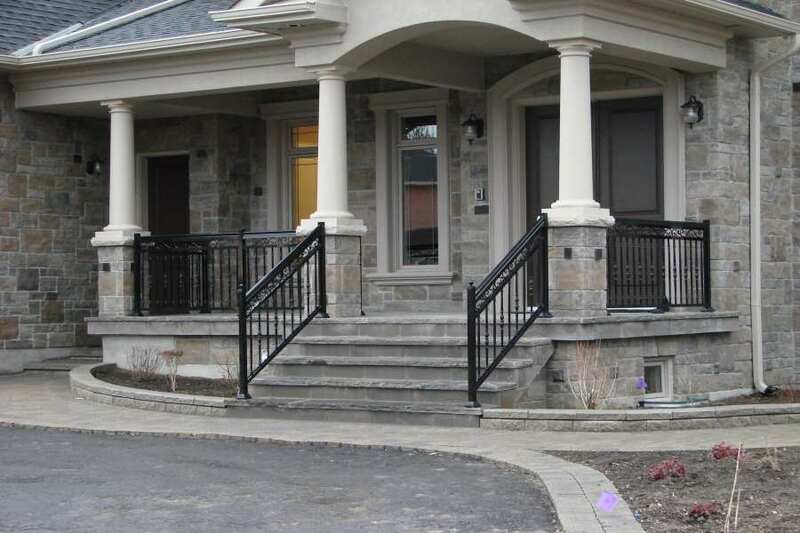 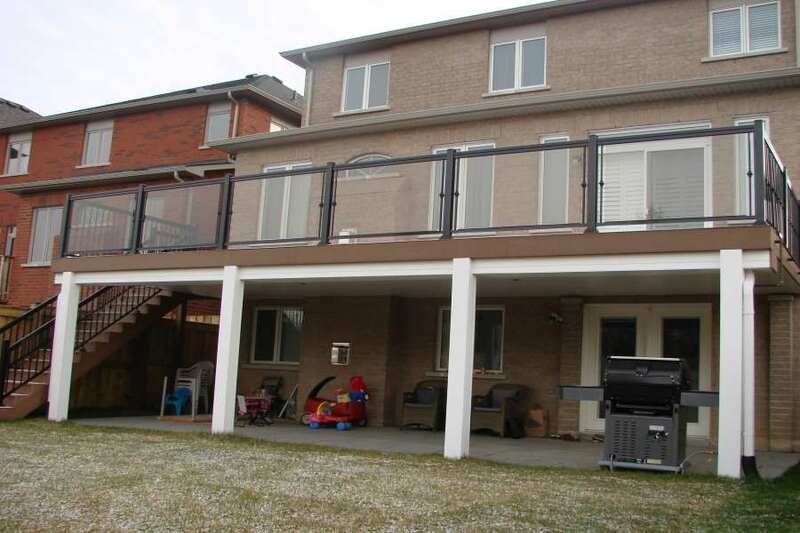 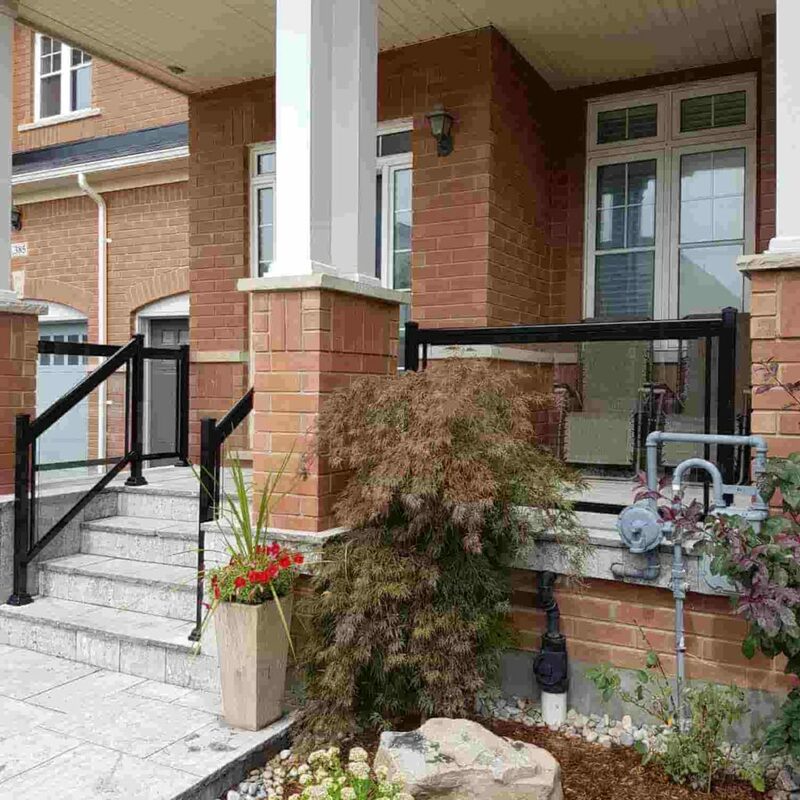 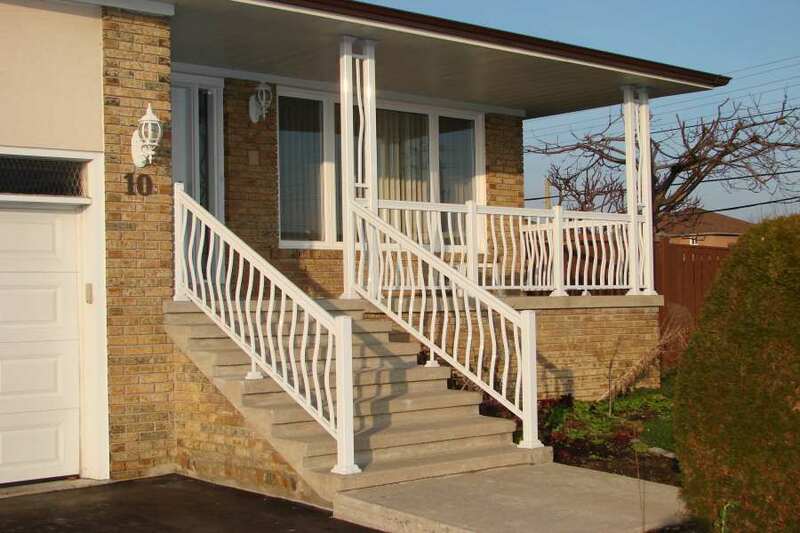 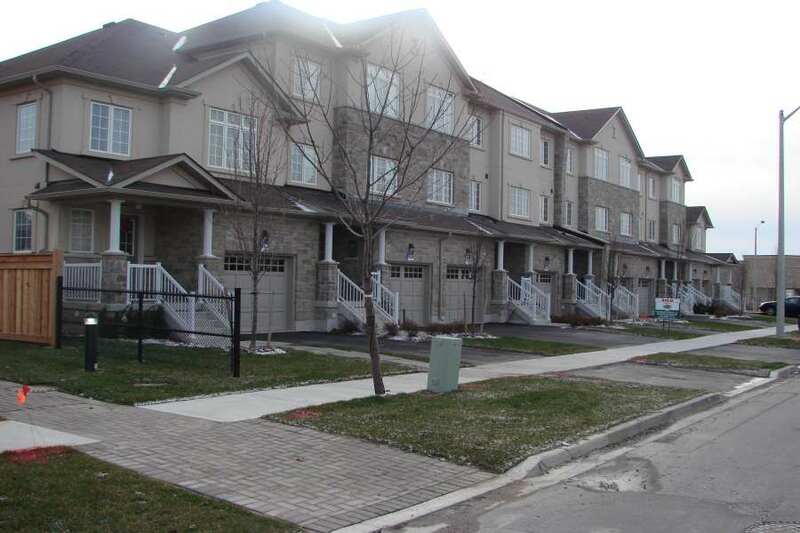 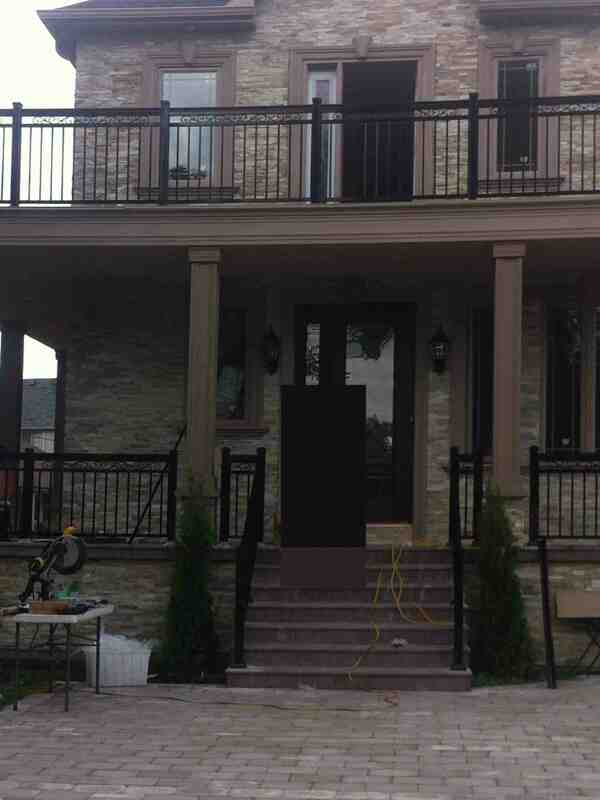 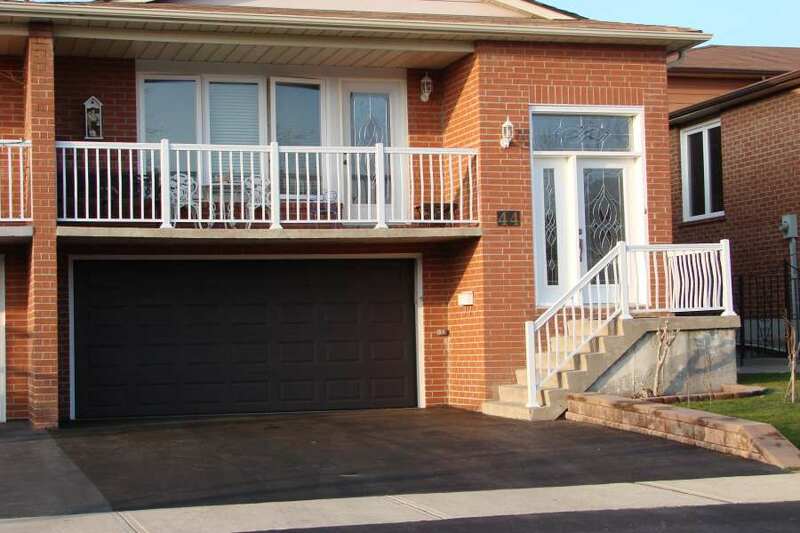 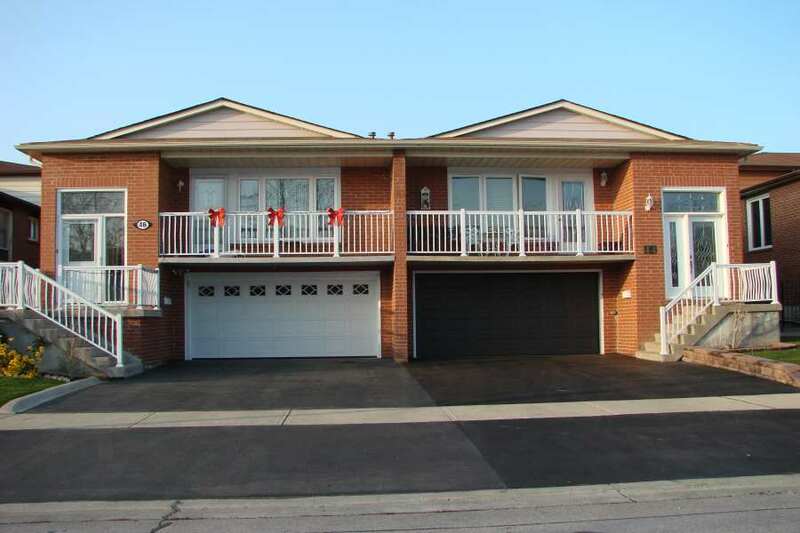 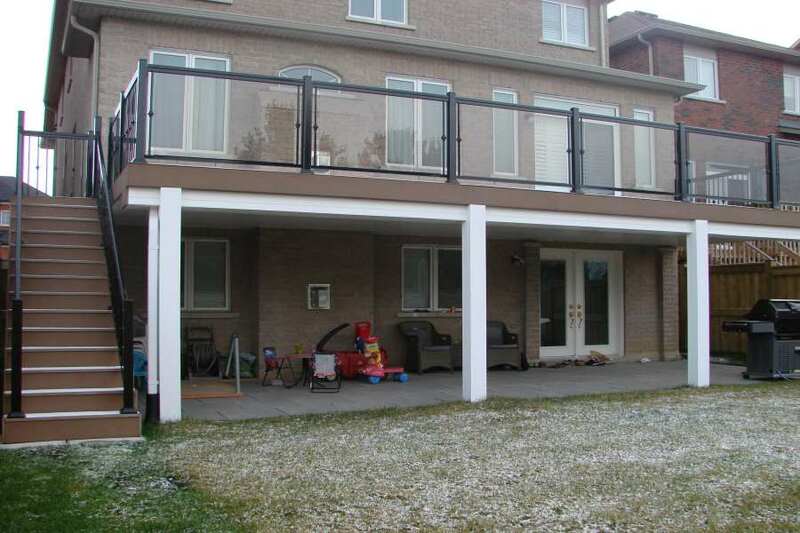 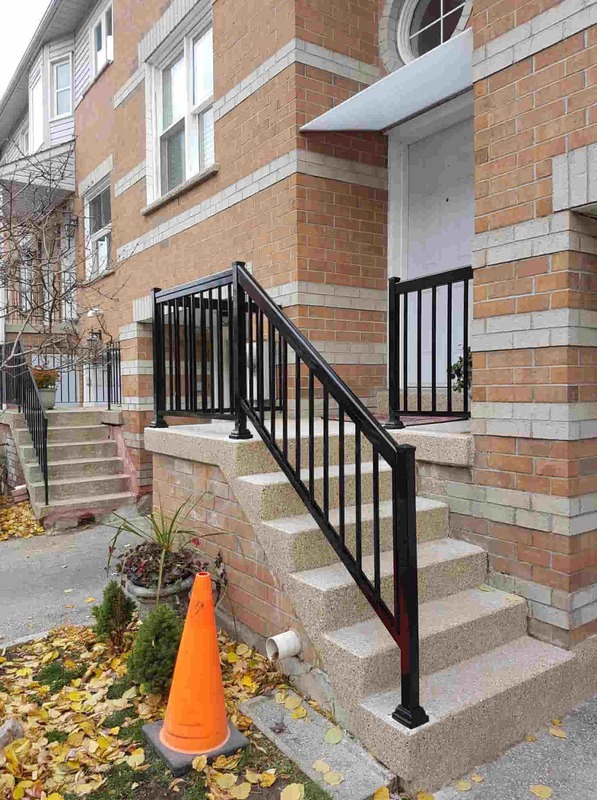 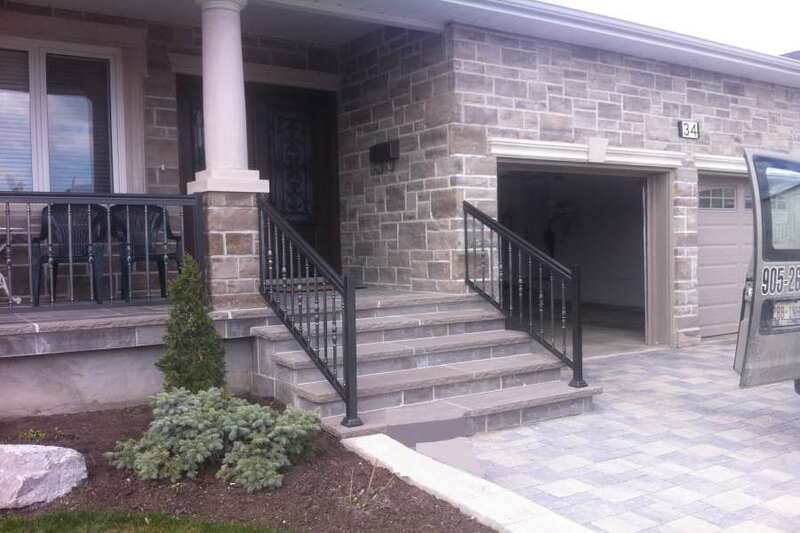 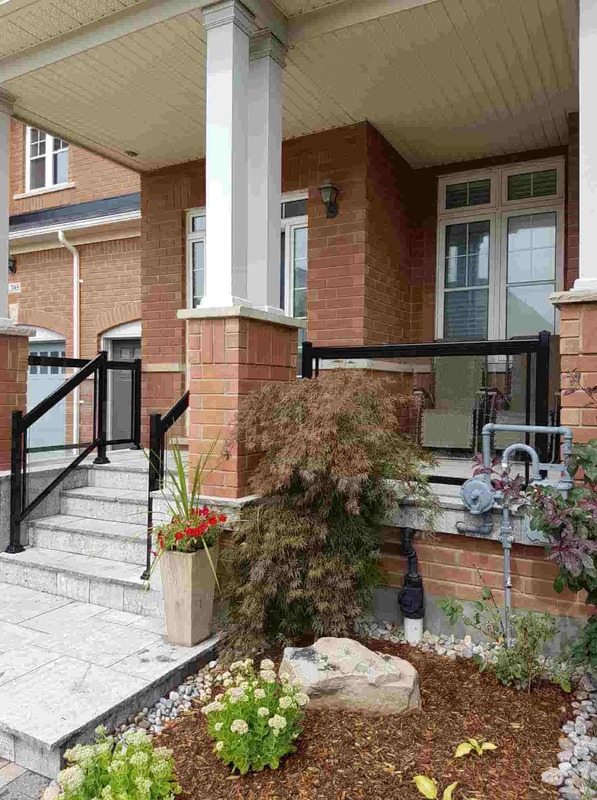 The only difference is that railings located outdoors are prone to damage from weather conditions and external debris. 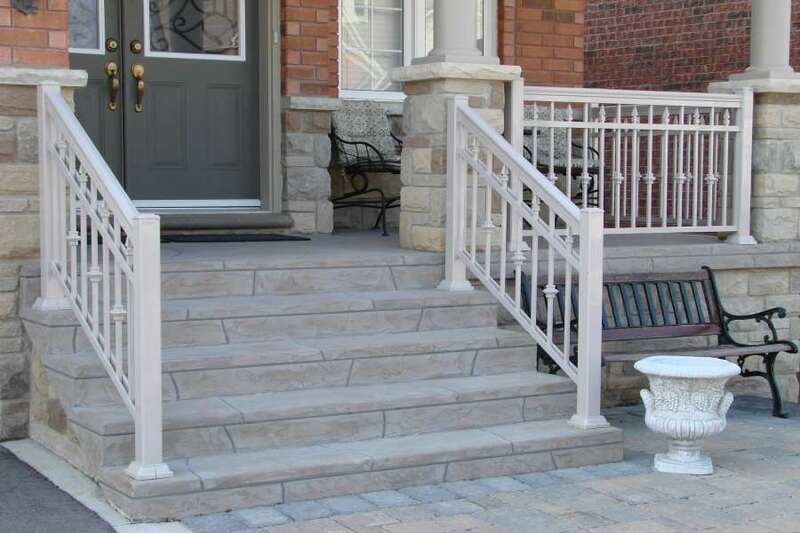 That is why it is very important that you choose the correct stair supplies. 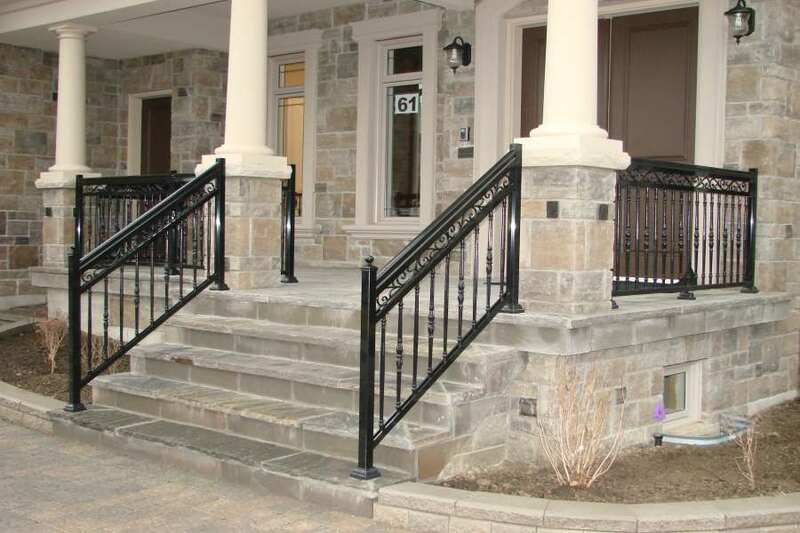 While on your quest for information, you may have encountered tons of stair railing options. 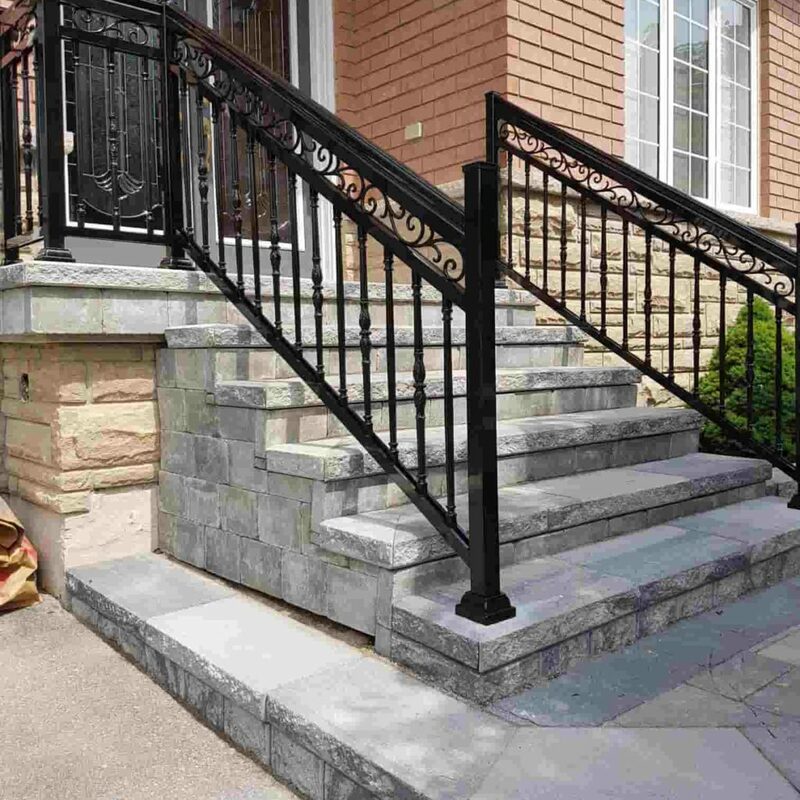 There are aluminum stairs, wooden stairs, stone, and many more. 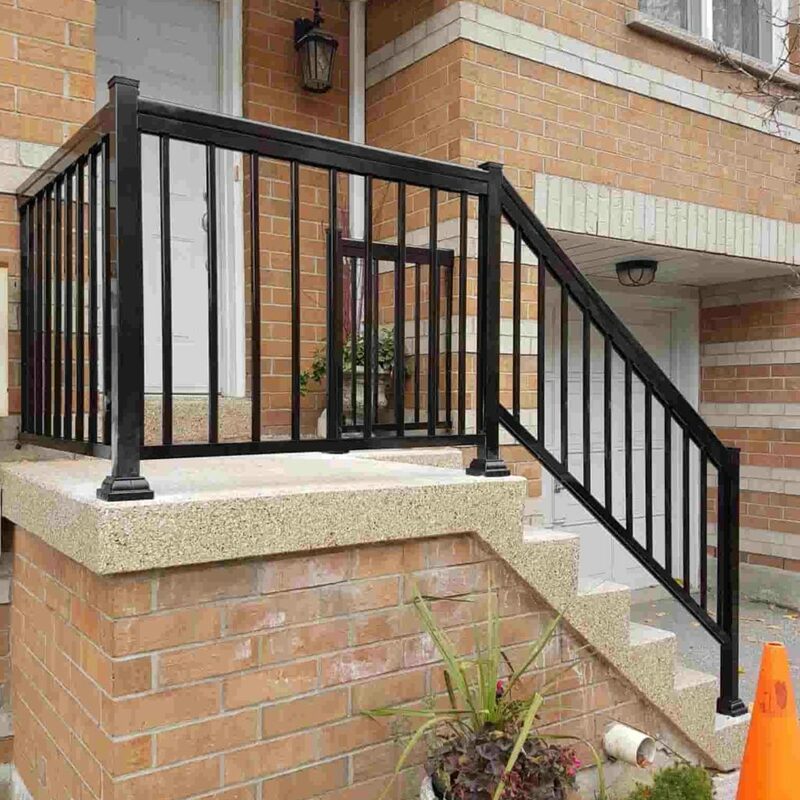 Each material brings different advantages and disadvantages. 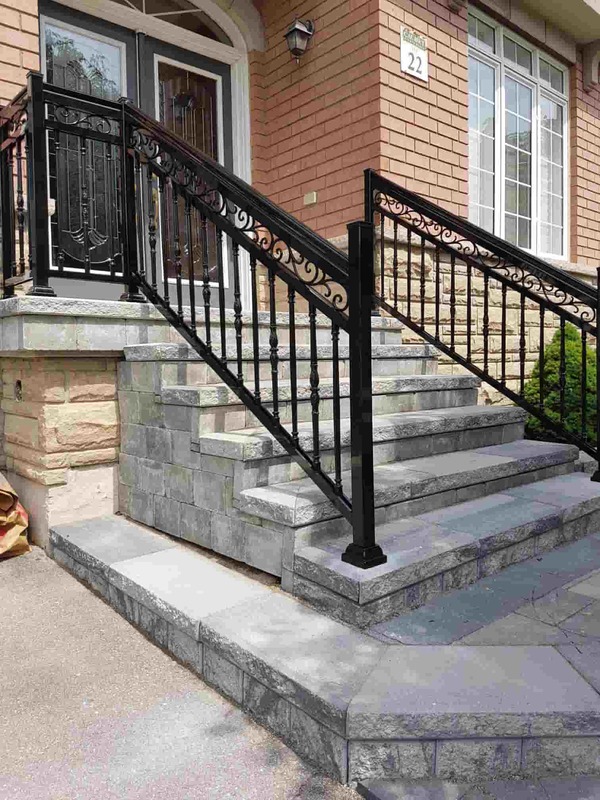 Aside from that, you also need to consider some factors such as the material’s durability, your stair’s design, and many more. 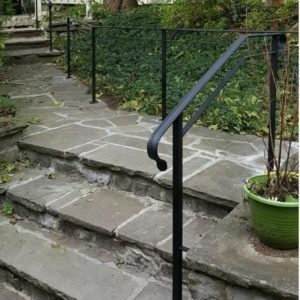 Your choice mostly relies on your needs and tastes. 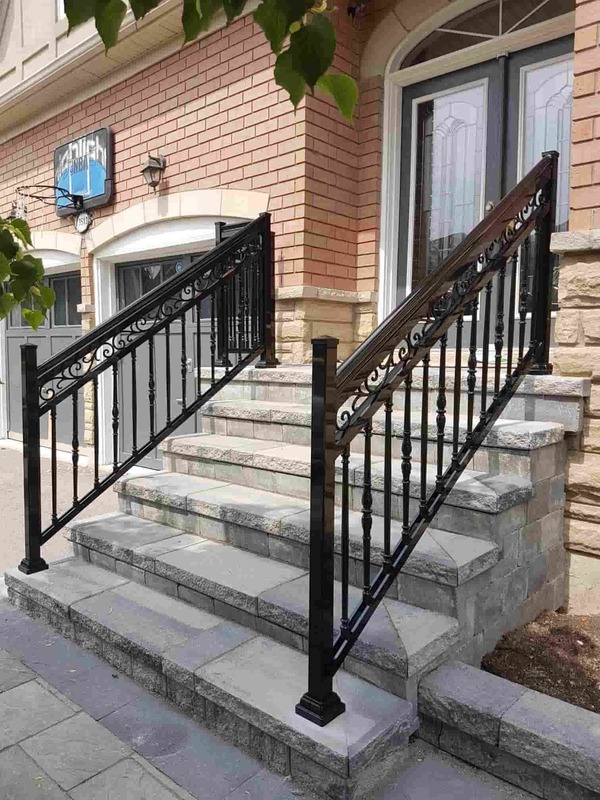 So what materials should you choose for your stair railings? 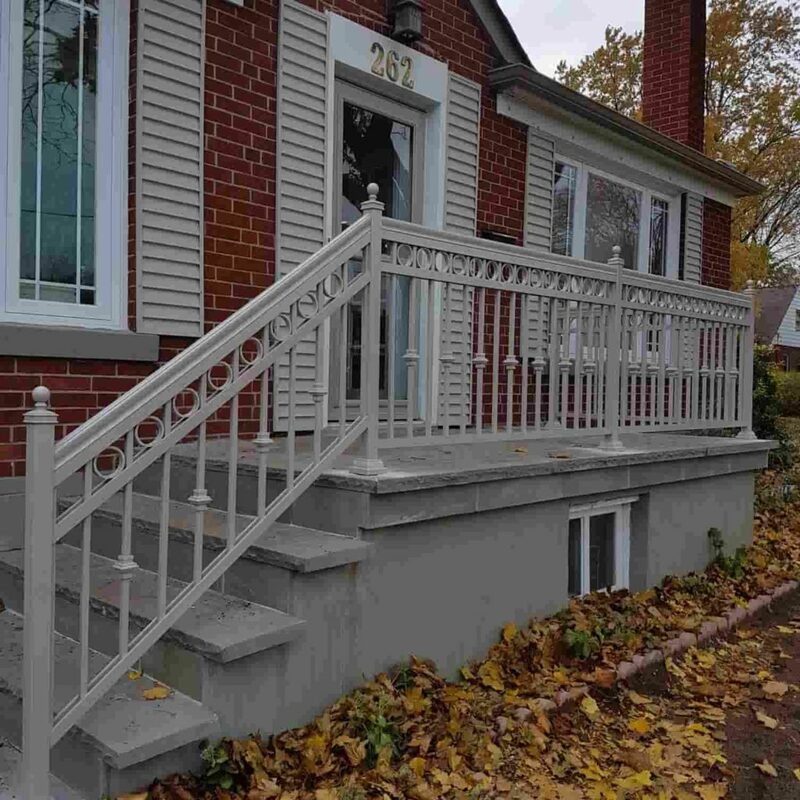 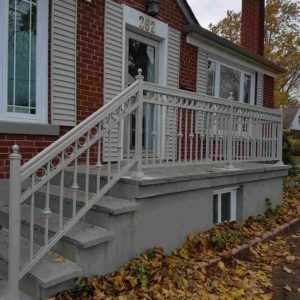 Wood Railings – Wood has become a popular choice for its classic and rustic look. 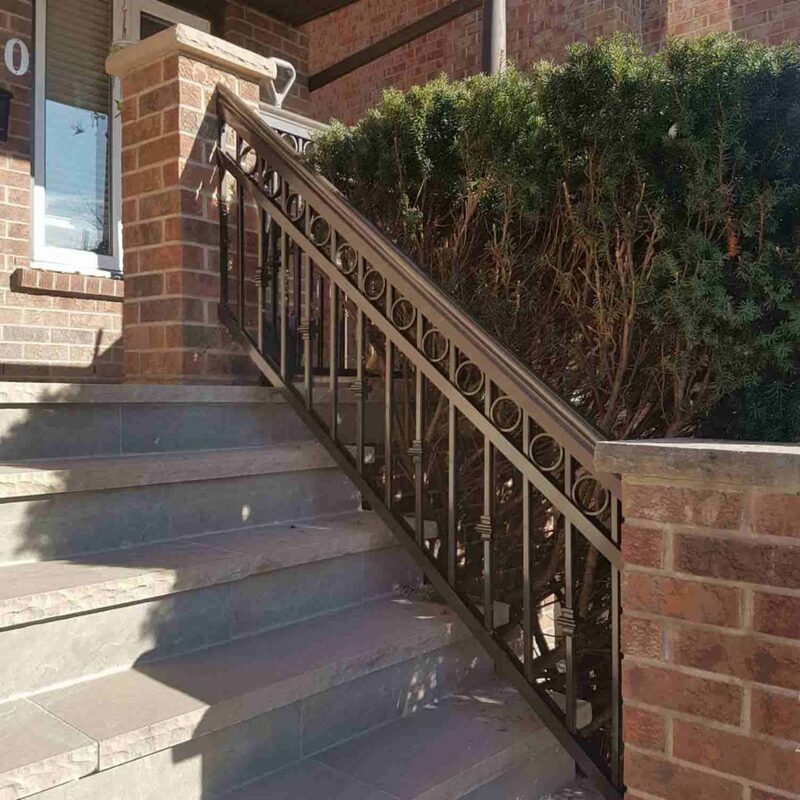 It can be customized and carved, and then polished. 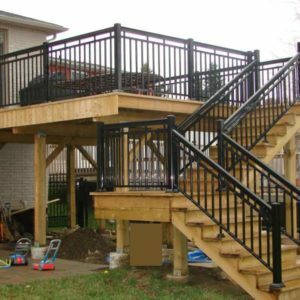 This can also be painted using different colors. 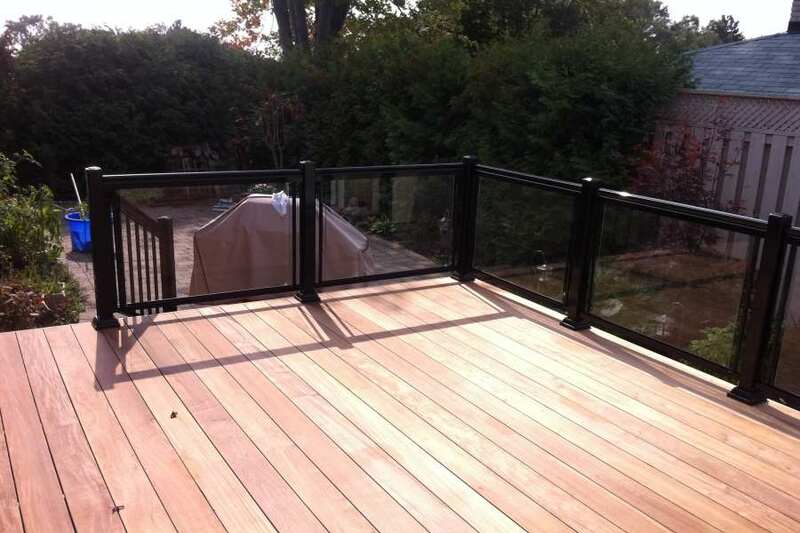 The only downside is that wood is susceptible to UV rays, heat, snow, rain, and even pests. 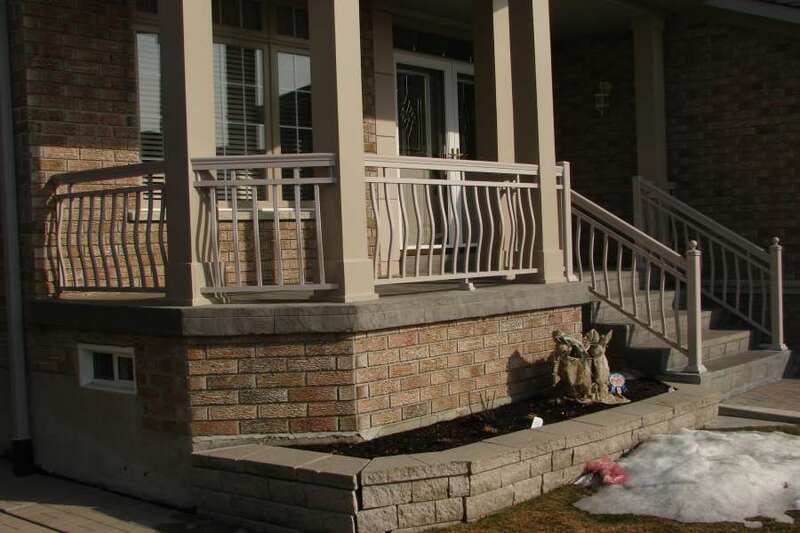 If the material is not protected and sealed against these conditions, then it can quickly deteriorate. 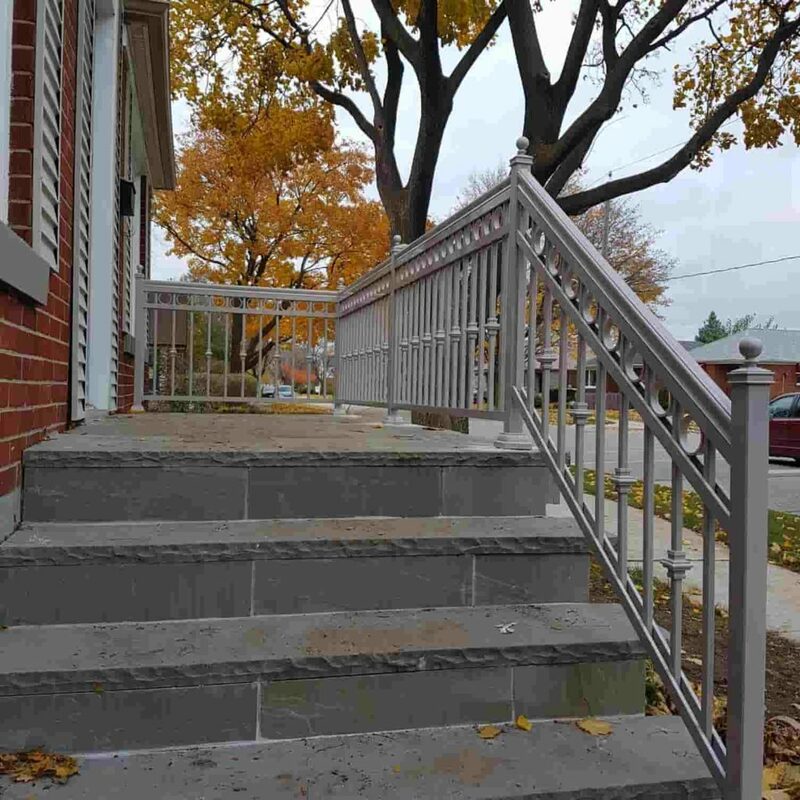 Stainless Steel Railings – A lot of people prefer stainless steel not only for its clean and polished look but also for its durability. 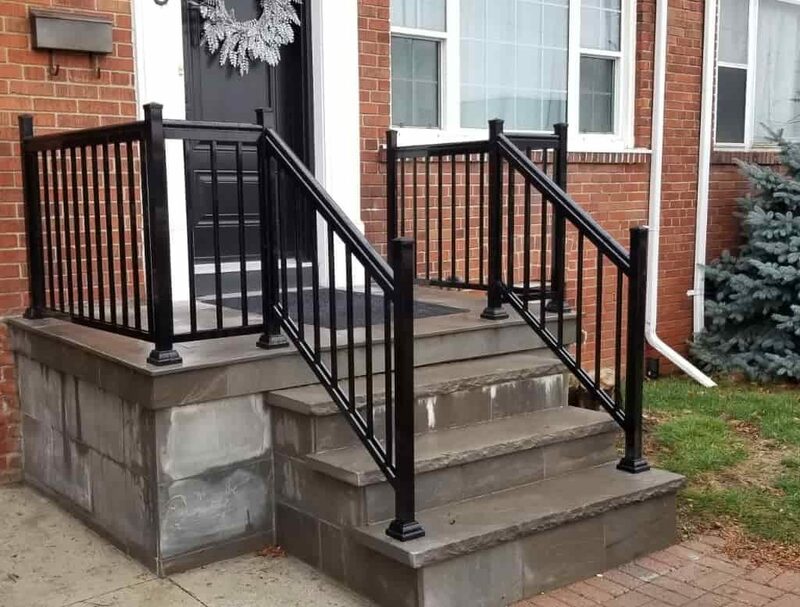 This material is resistant to weather conditions, however, some may still require some weatherproofing to maintain its polished quality. 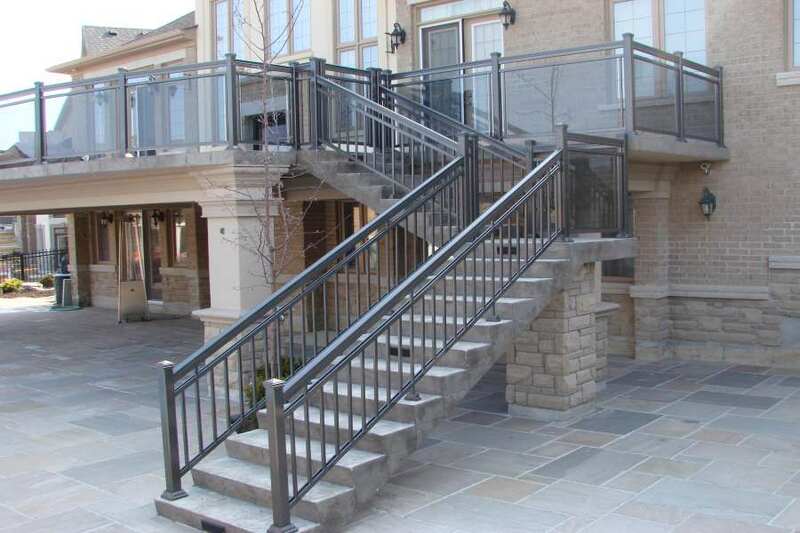 Aluminum Stairs – Aluminum stairs and platforms are cheaper than its stainless steel and wrought iron counterparts. 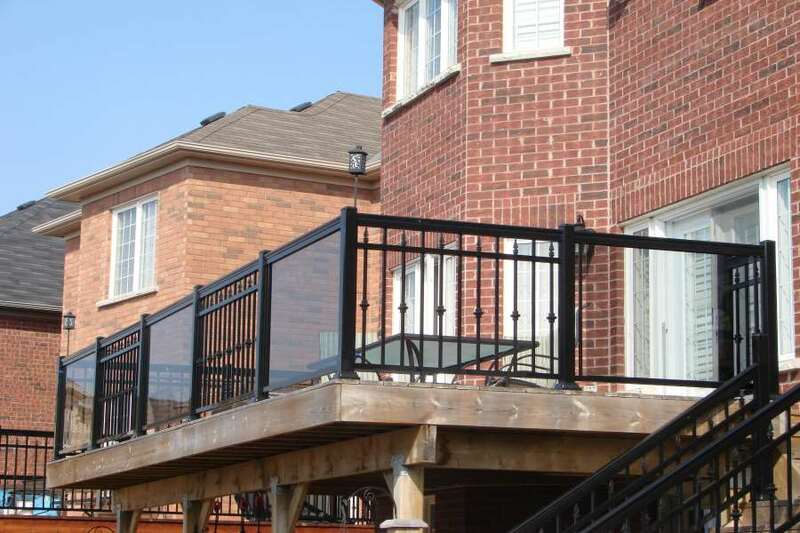 It has a natural resistance against rust and corrosions which makes it a good option for both outdoors and indoors. 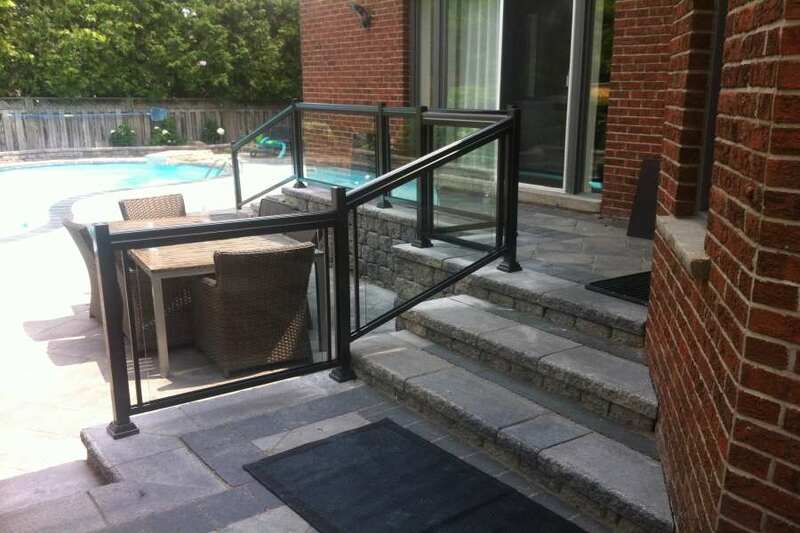 As a matter of fact, people build aluminum beach stairs and aluminum dock stairs for their outdoor activities. 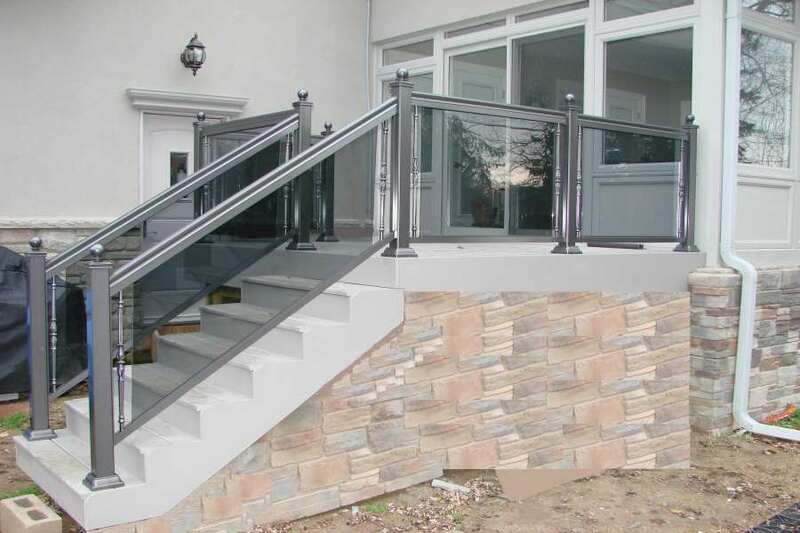 When used indoors, these can be turned into aluminum spiral stairs for a more sophisticated and modern look. 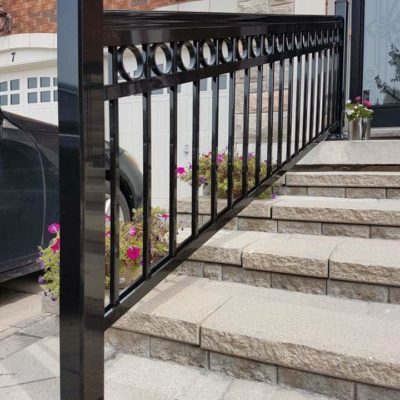 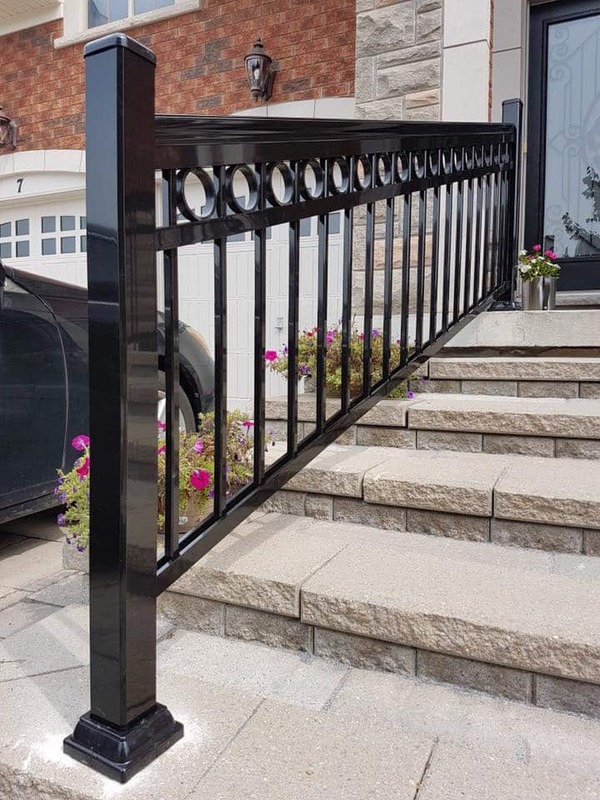 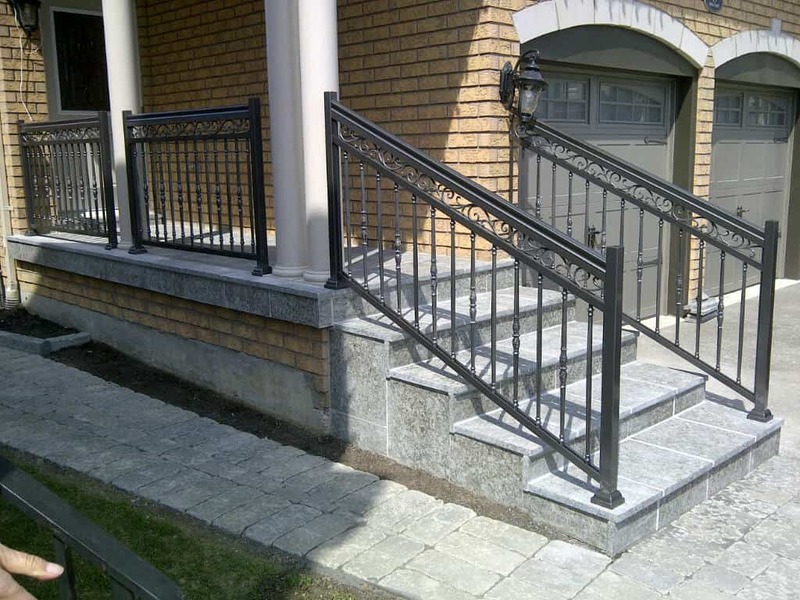 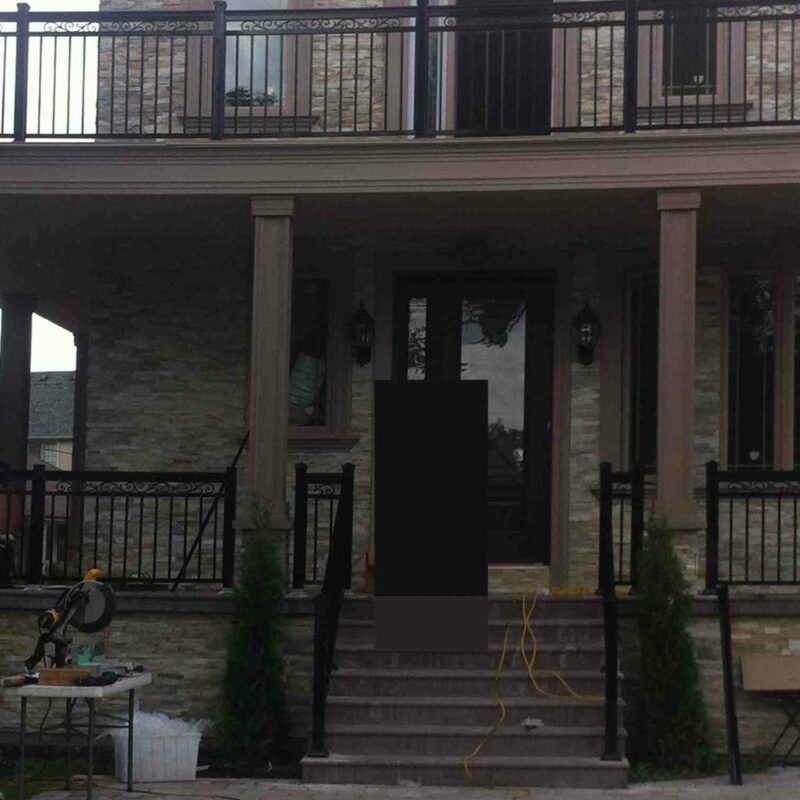 Wrought Iron Railings – These are usually finished in black, making it perfect for those who want a black stair railing. 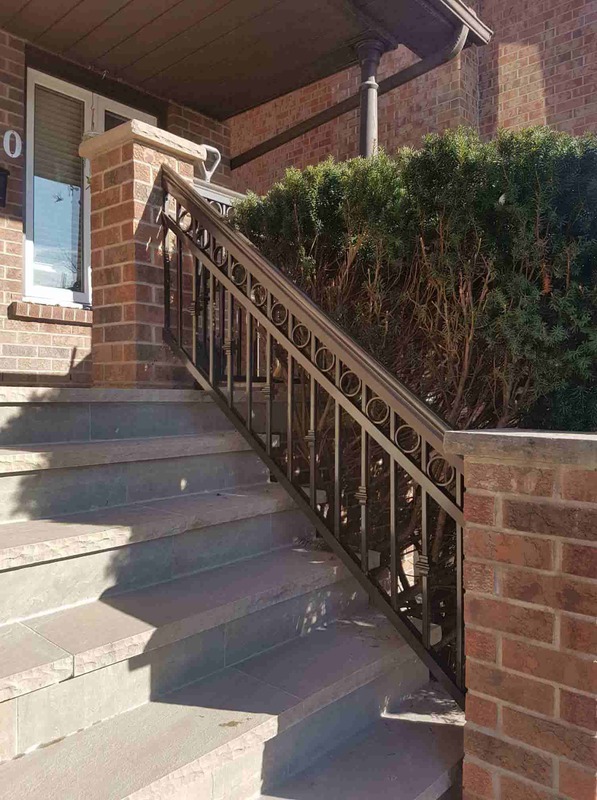 When maintained properly, wrought iron can last for a lot of years. 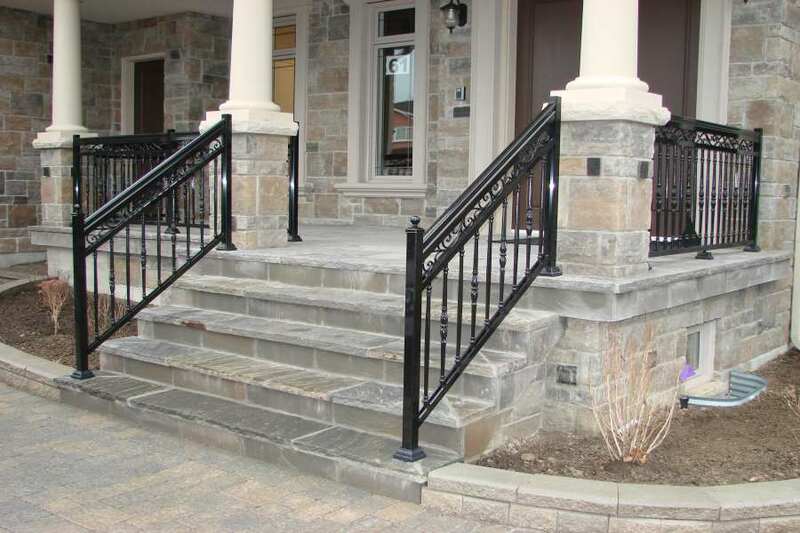 This material has very great durability and superior strength. 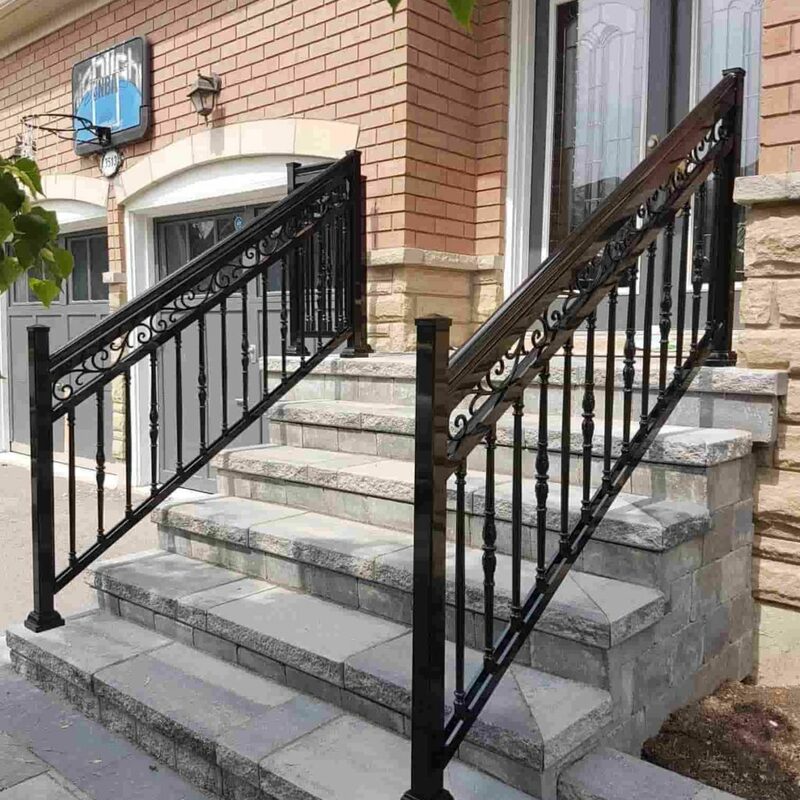 But unlike aluminum stairway, wrought iron can corrode over time if it is located outdoors. 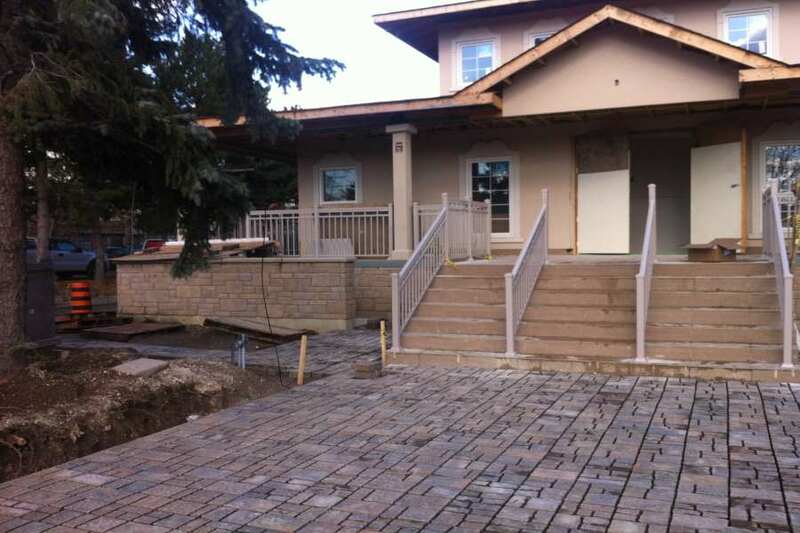 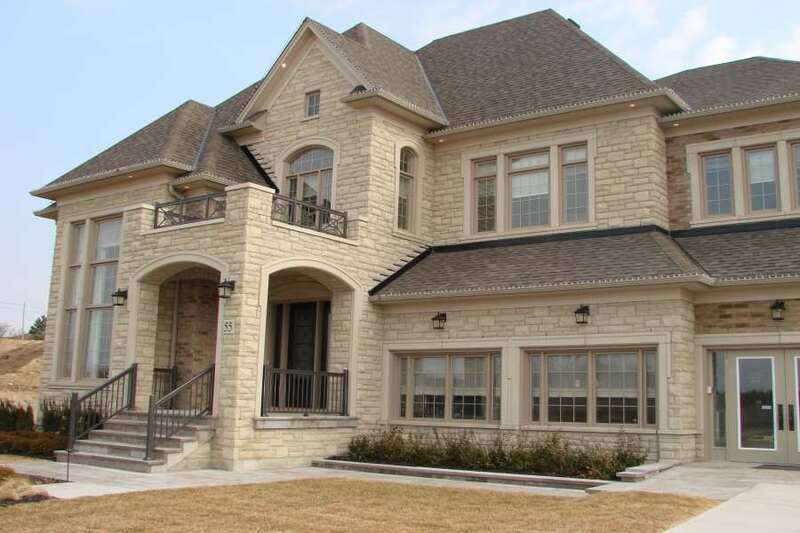 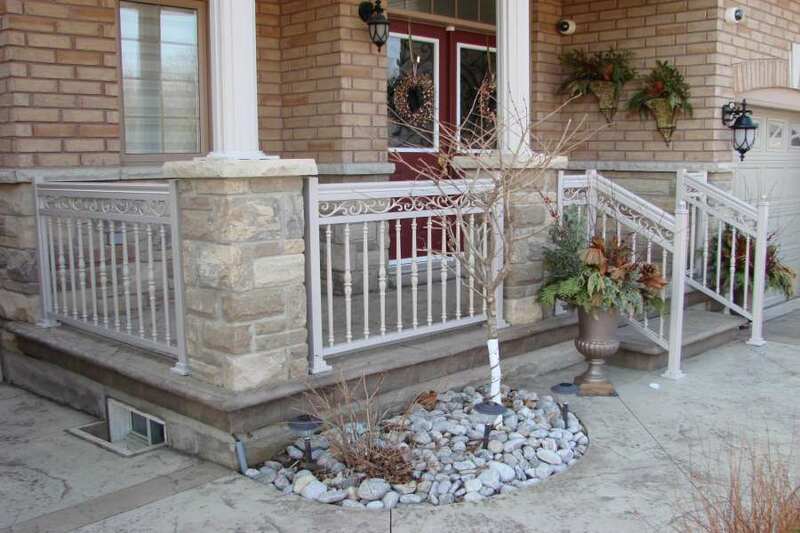 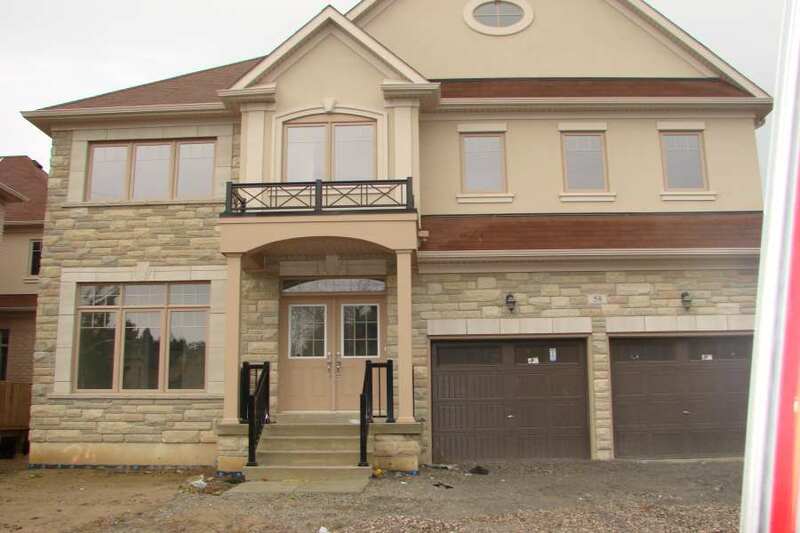 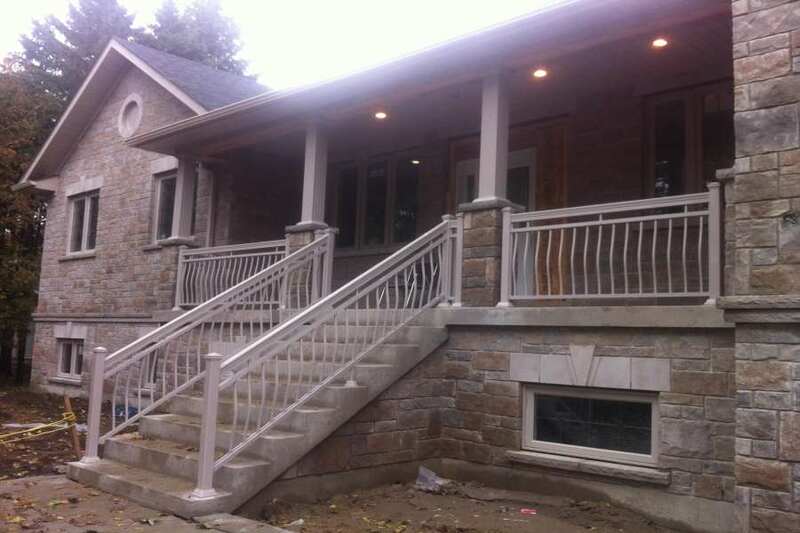 Stone/Marble Railings – Stone and marble railings are very elegant looking. 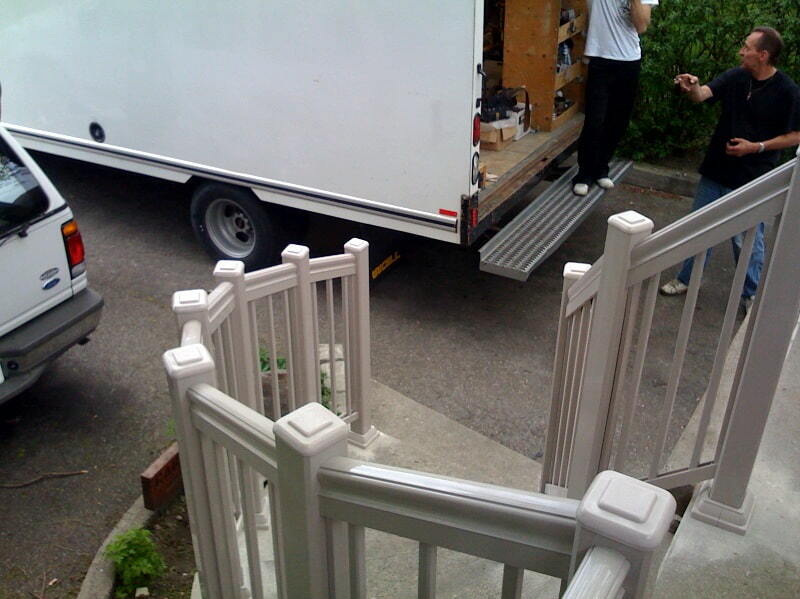 The only problem is that they are very fragile and heavy. 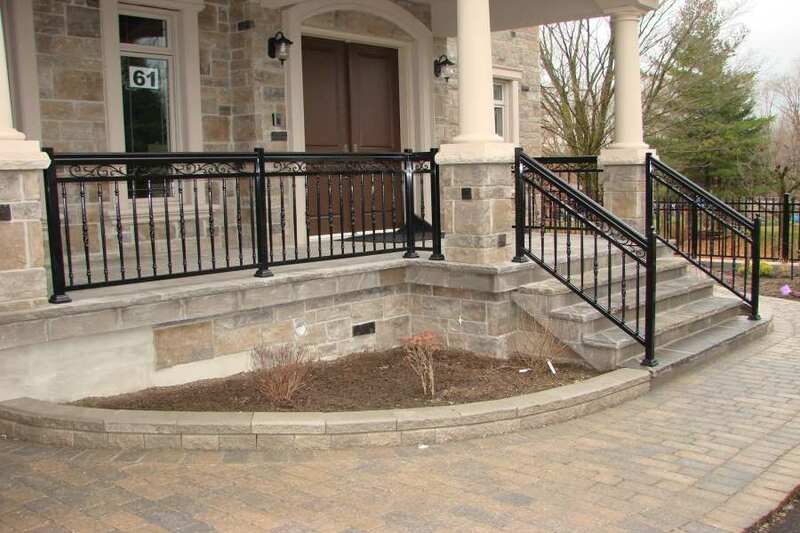 This makes them susceptible to breaking and cracking which is hard to fix. 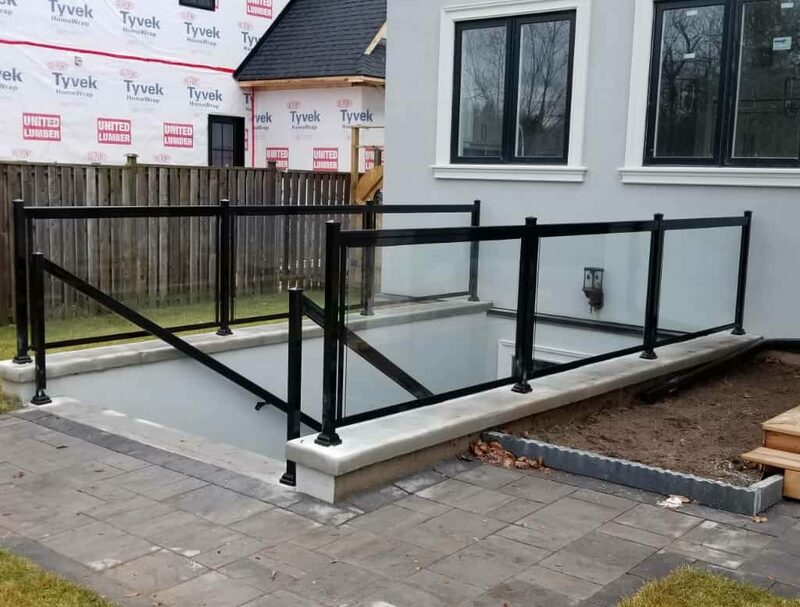 As you would need the help of a professional to do this. 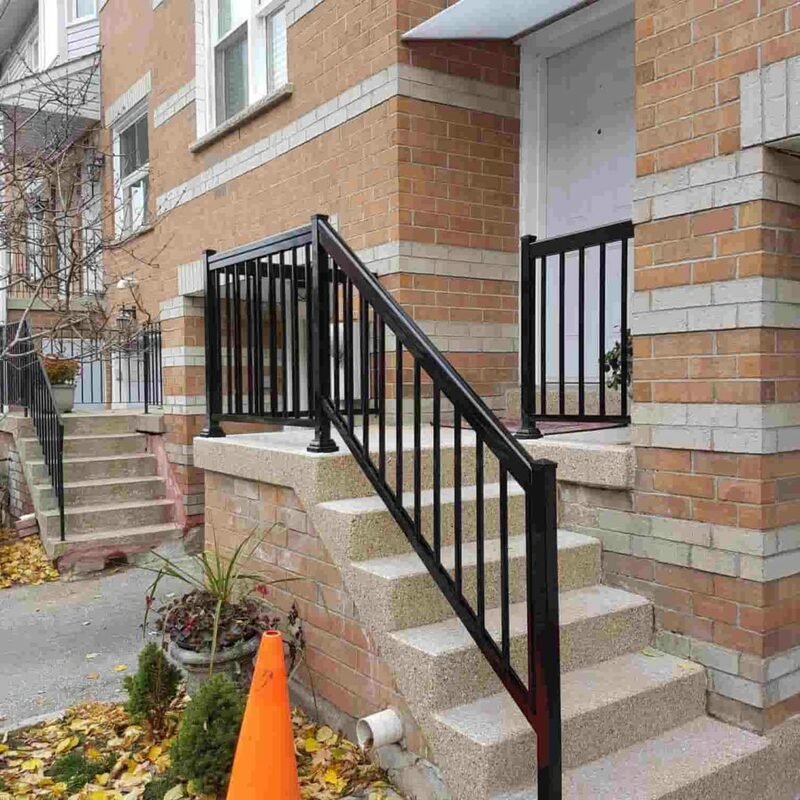 ● If used for exit stairs or ramps, should be at least 42 inches in height. 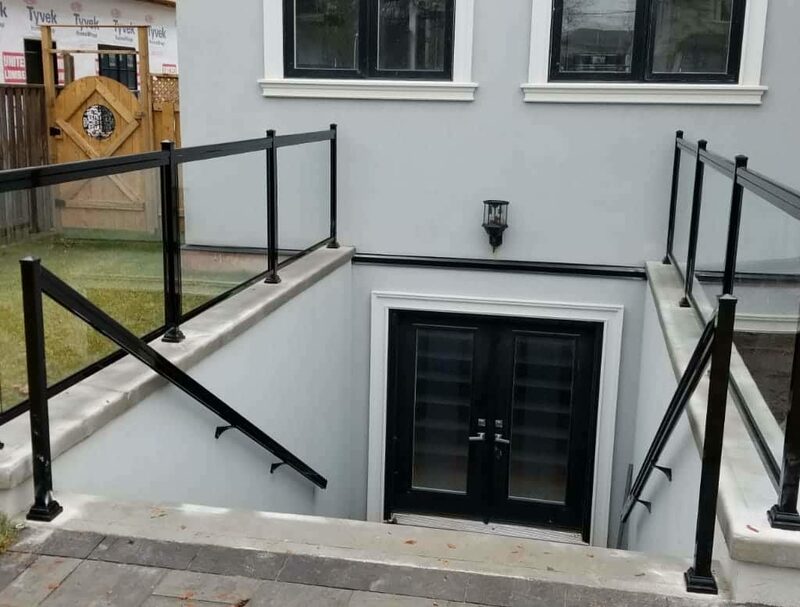 Falls from stairs and other elevated areas less than three meters high are one of the leading causes of work-related injuries. 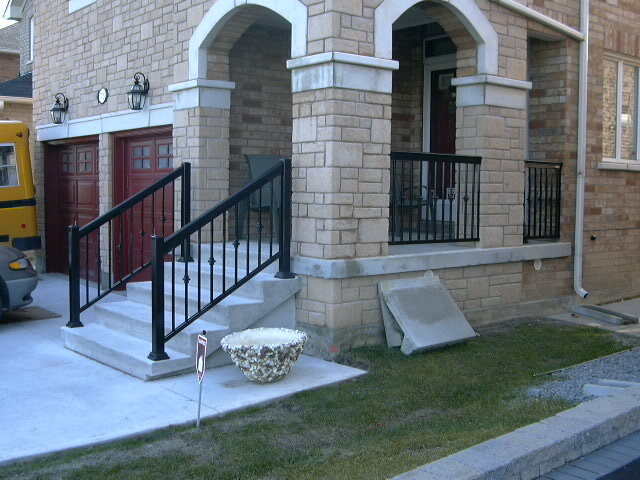 And the injuries acquired from these accidents lead to workers missing time from their workplace. 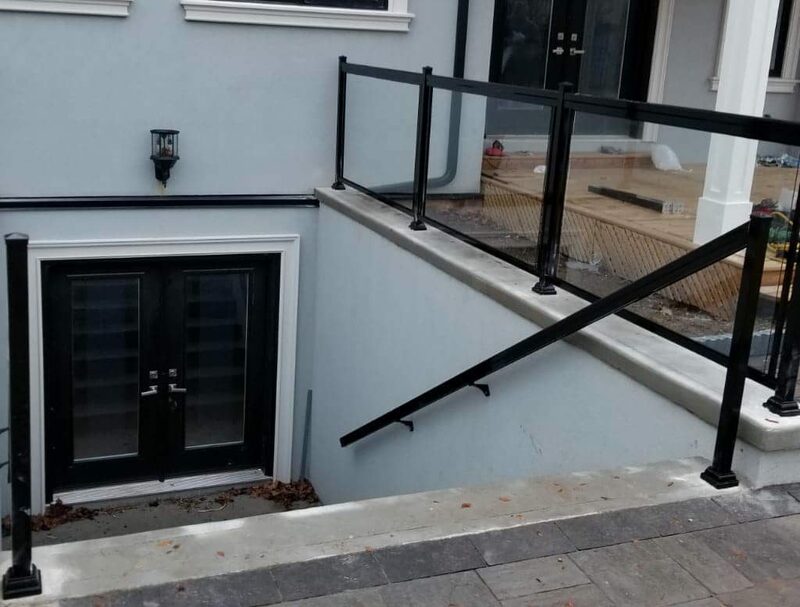 It’s dangerous enough that this could even lead to the loss of lives. 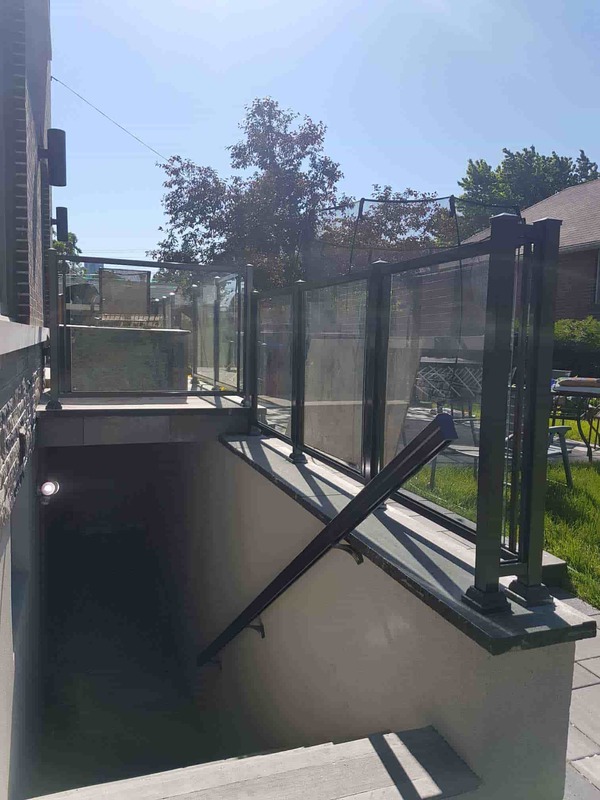 Employers have the responsibility of protecting their employees from fall hazards, especially at industrial establishments. 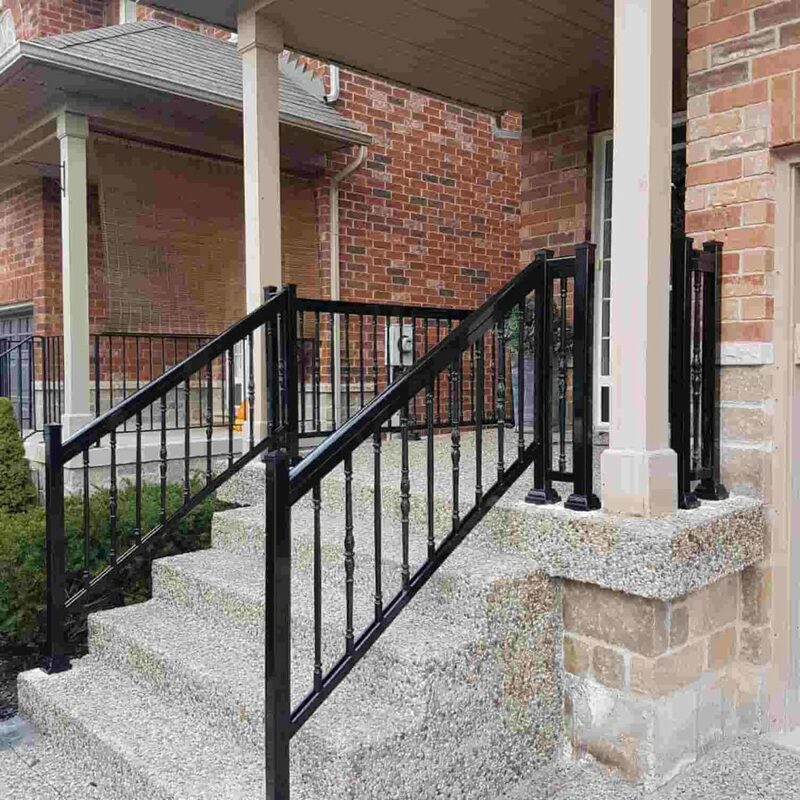 Additionally, residents can also be susceptible to these accidents. 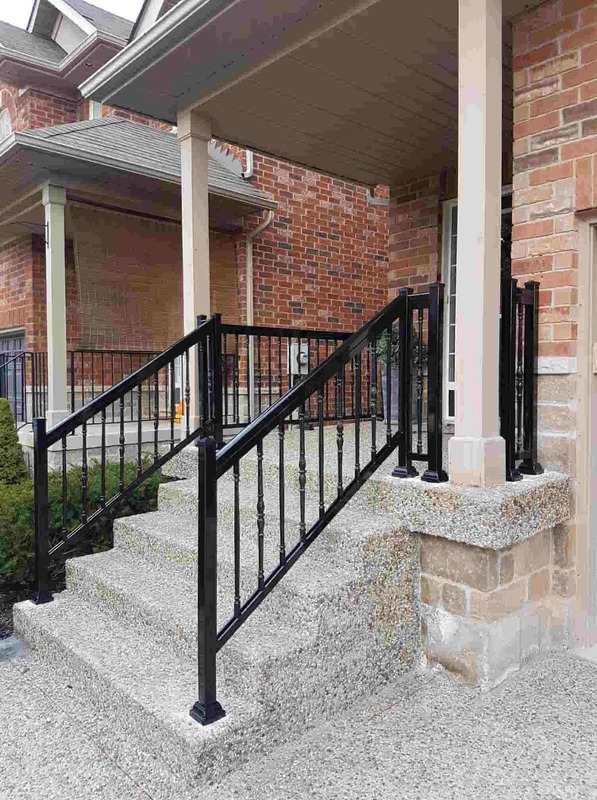 They can follow there preventive measures to avoid any members from getting injured. 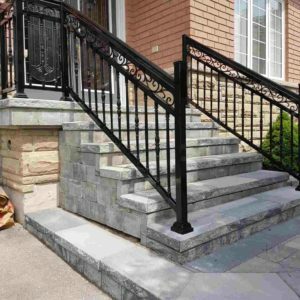 Accidental falls from trailers, beds of trucks, equipment, and etc. 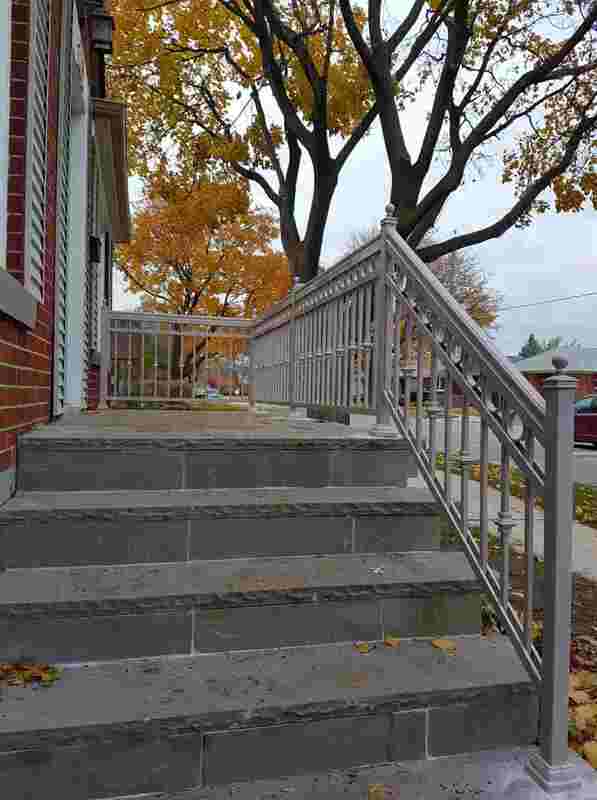 Although accidents can’t be controlled, preventing fall hazards from happening is still possible.